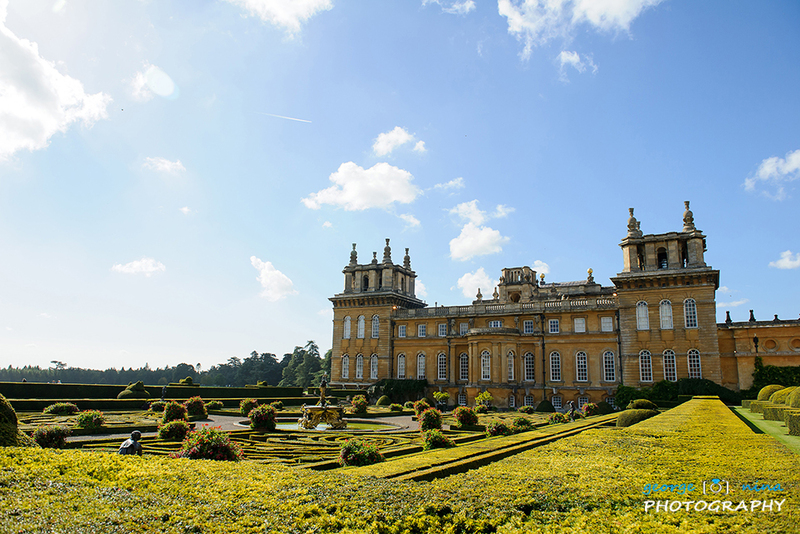 Blenheim Palace in Oxfordshire is an iconic Palace set over 12500 acres of land. 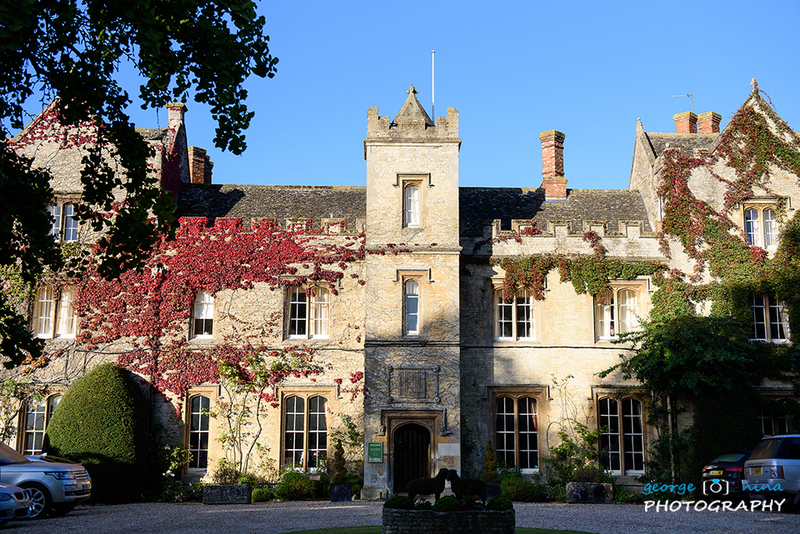 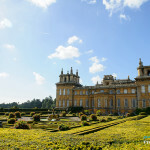 It’s a very popular location amongst tourists, being only 20 minutes away from Oxford. 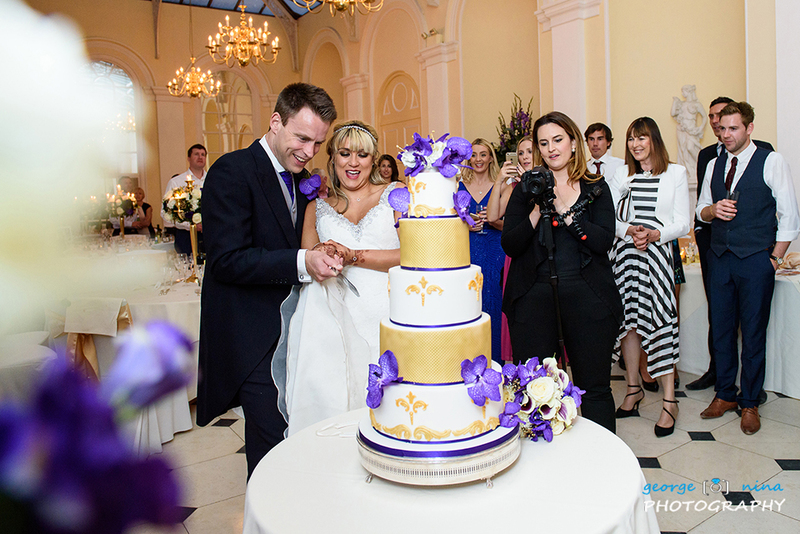 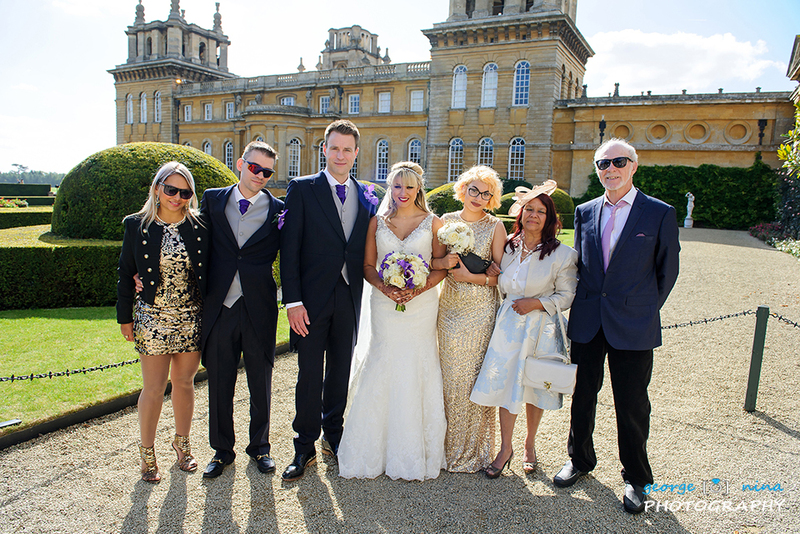 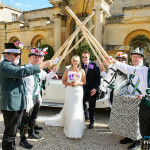 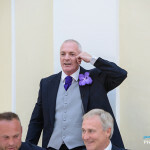 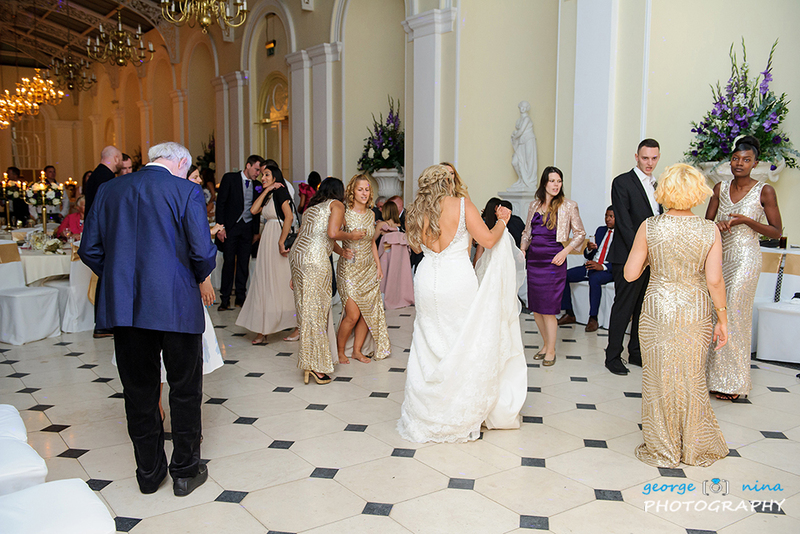 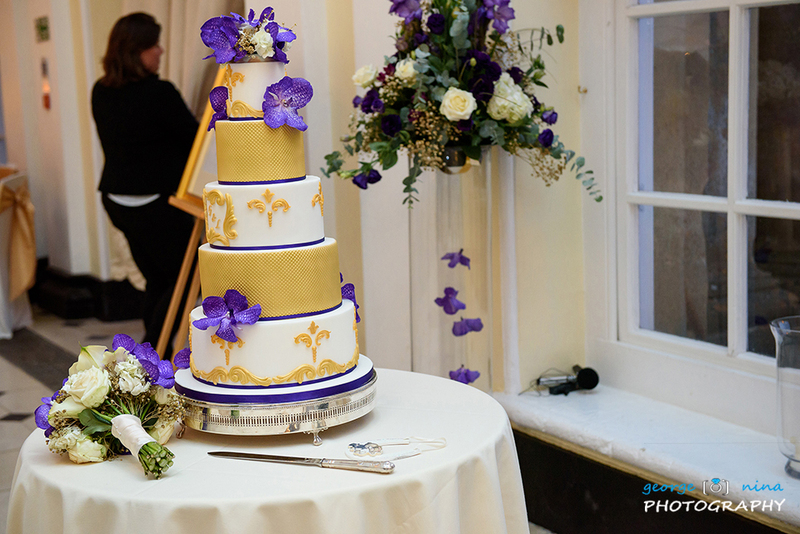 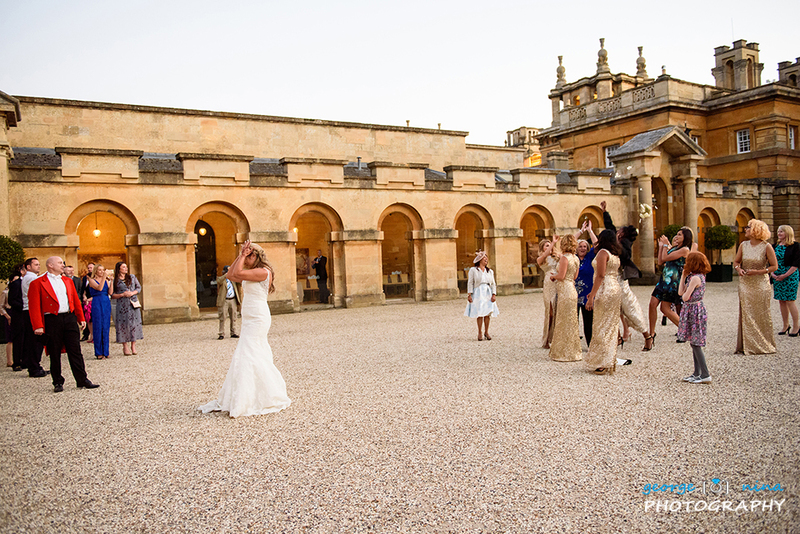 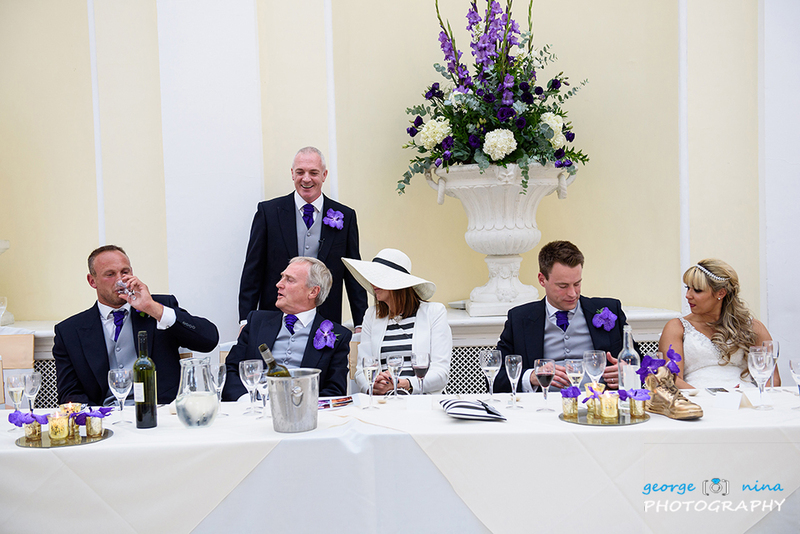 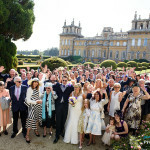 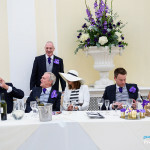 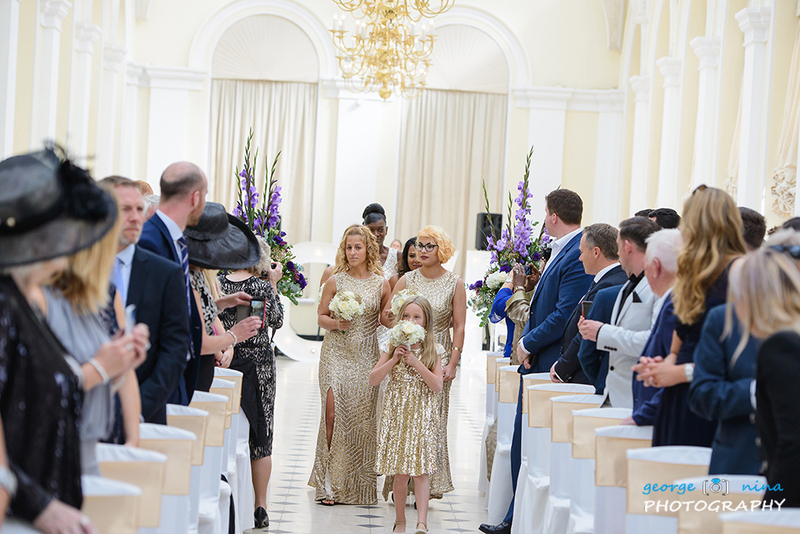 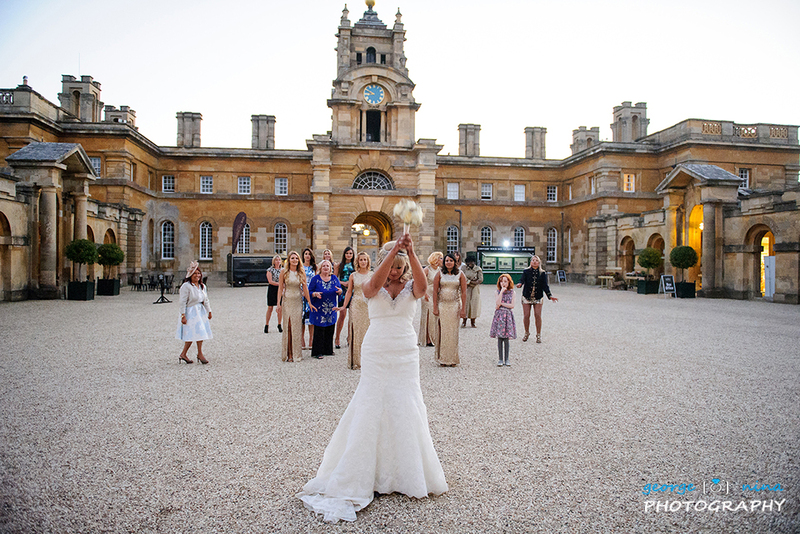 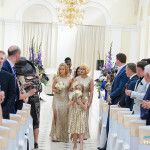 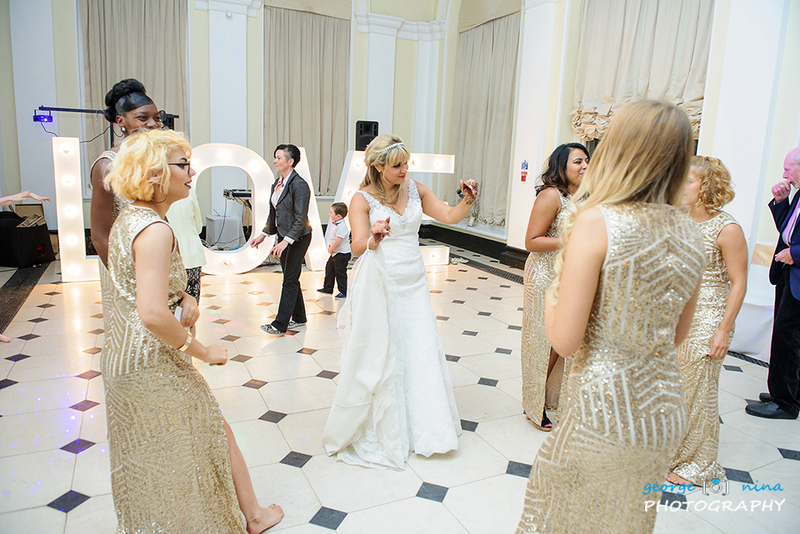 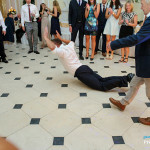 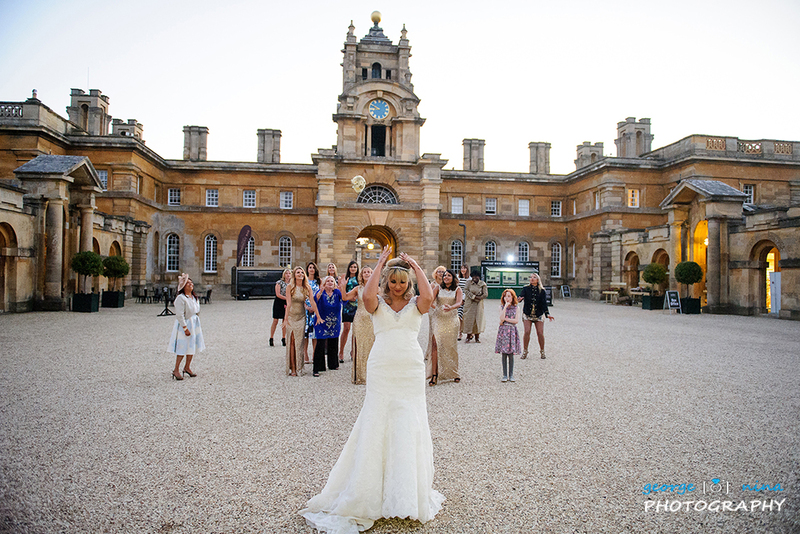 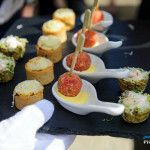 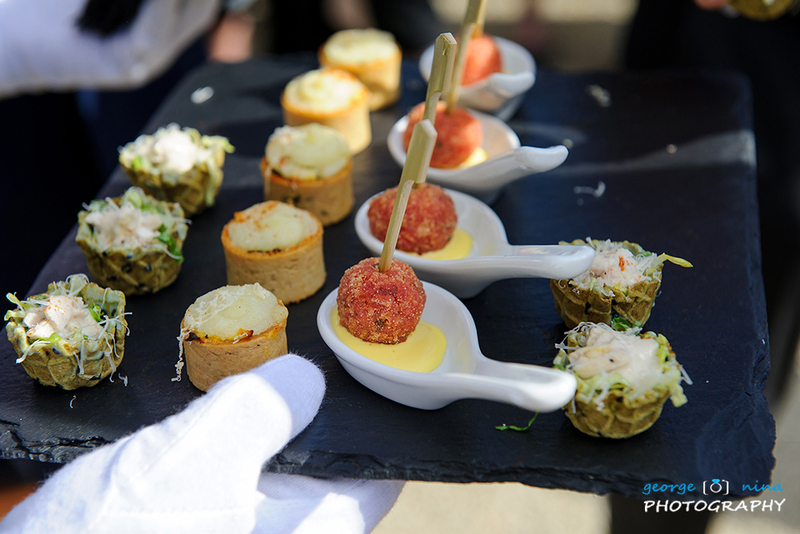 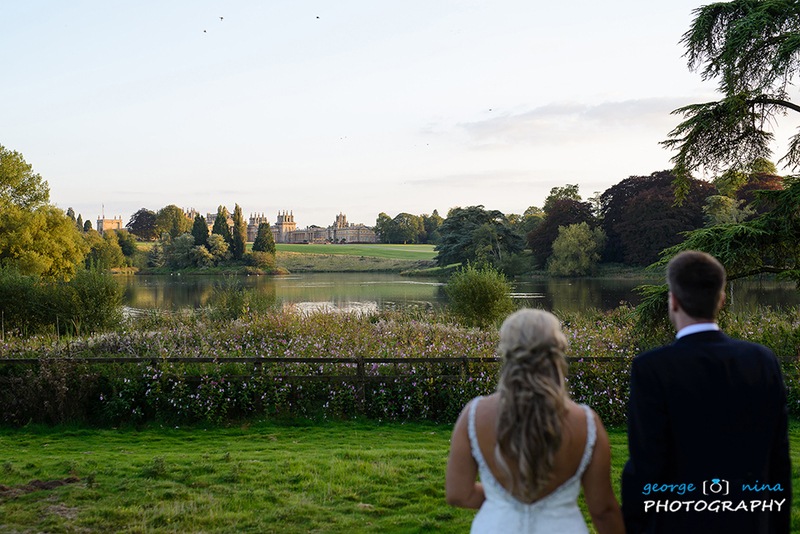 Blenheim Palace is also a very impressive wedding venue offering a variety of options for a couple looking for a special venue. 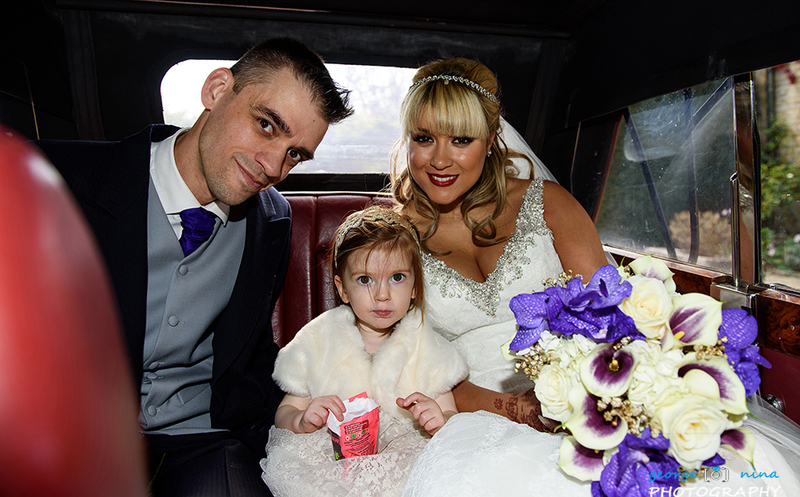 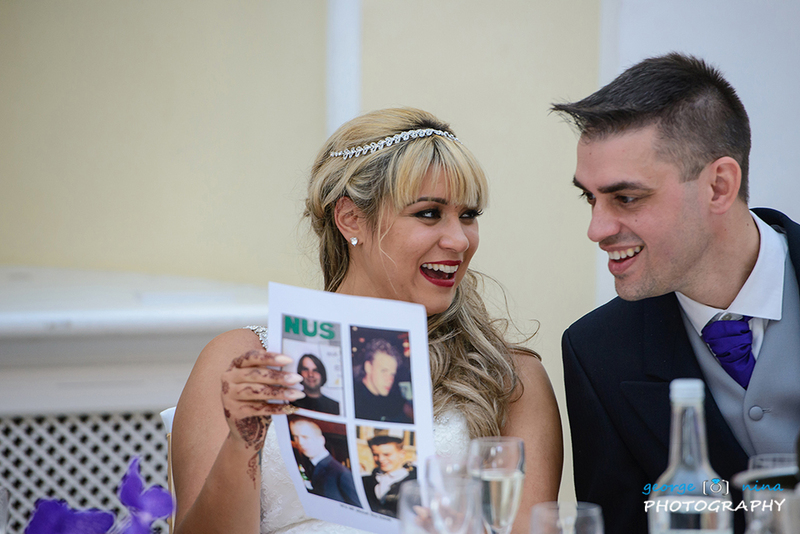 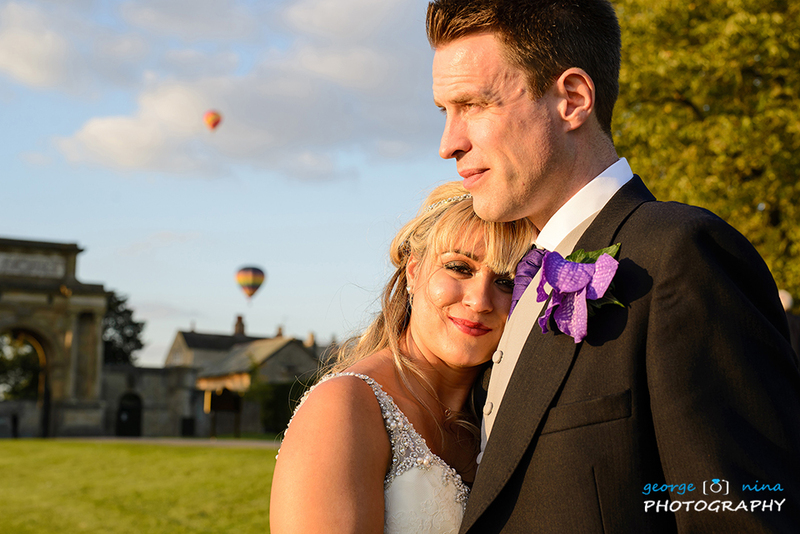 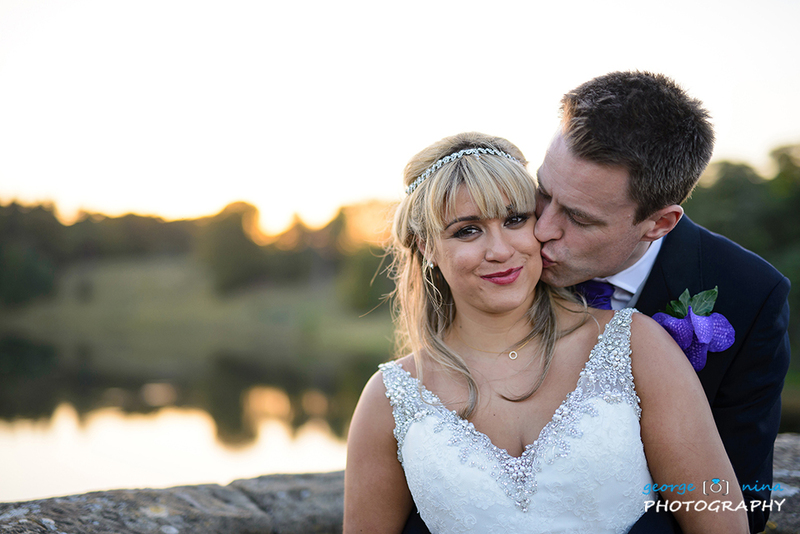 We met Lisa and George a while back when we did Micky and Ross wedding, and they loved our pictures and booked us for their big day. 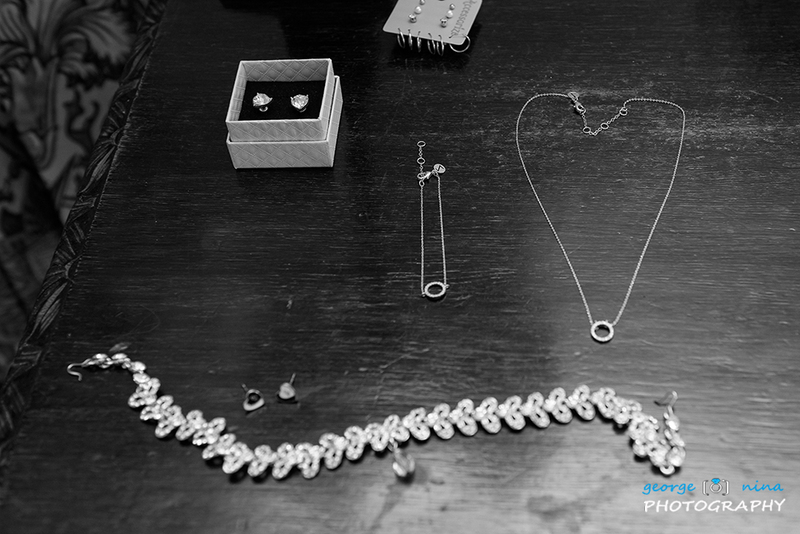 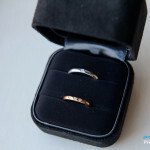 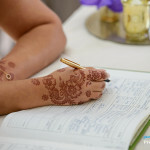 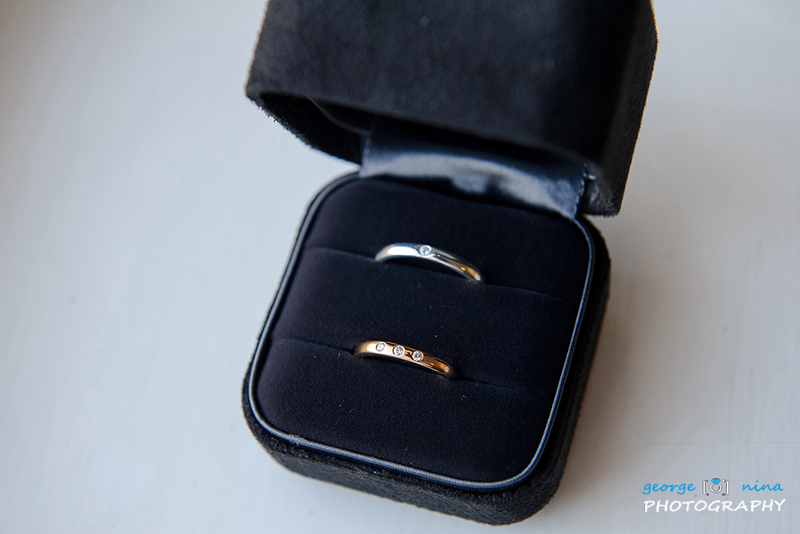 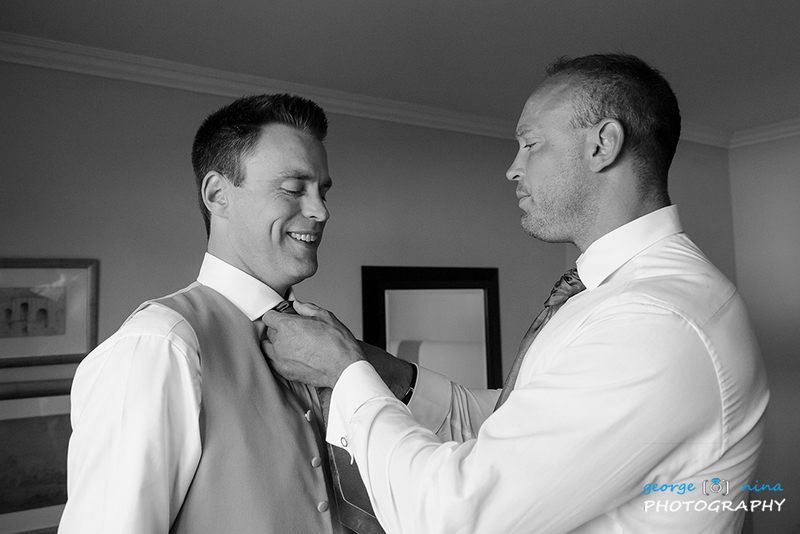 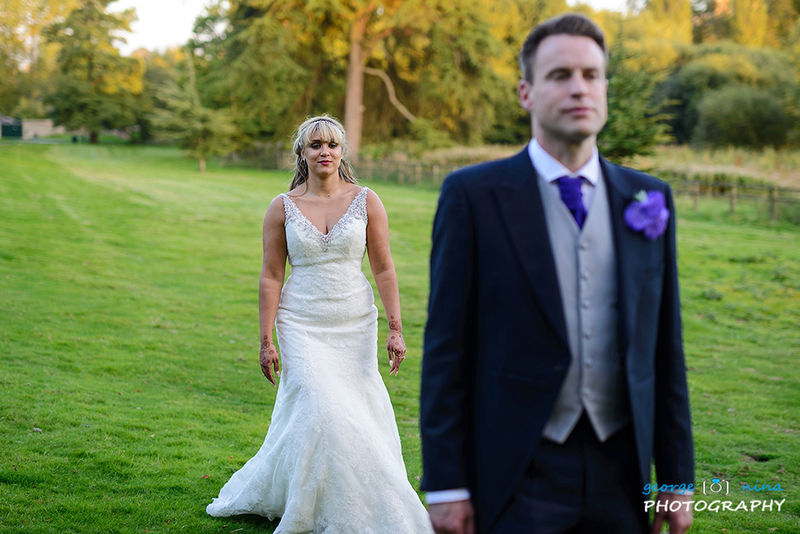 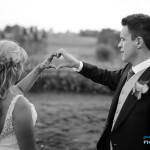 We couldn’t wait for their wedding day to come sooner, and we were very excited knowing that their day would be simply amazing. 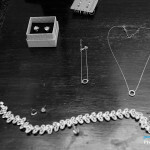 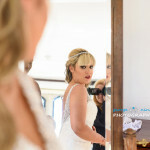 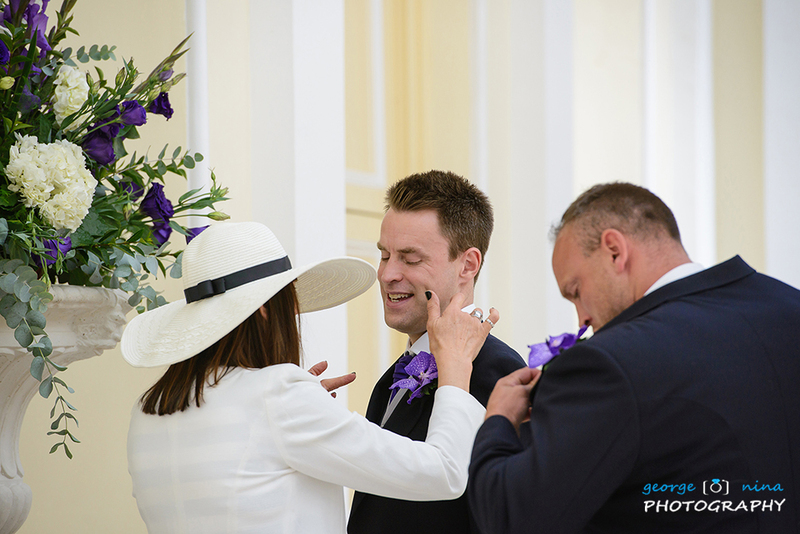 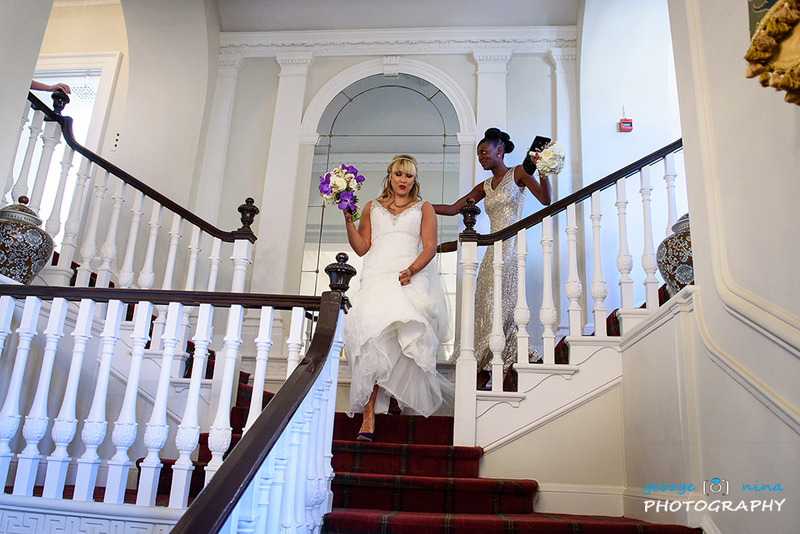 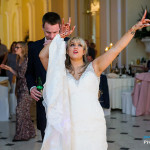 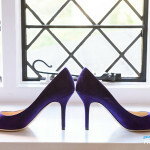 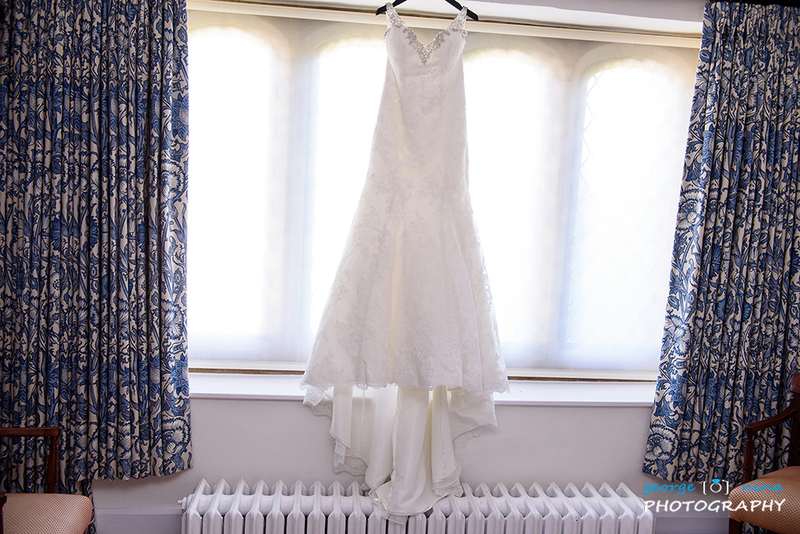 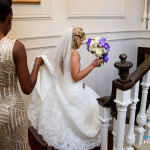 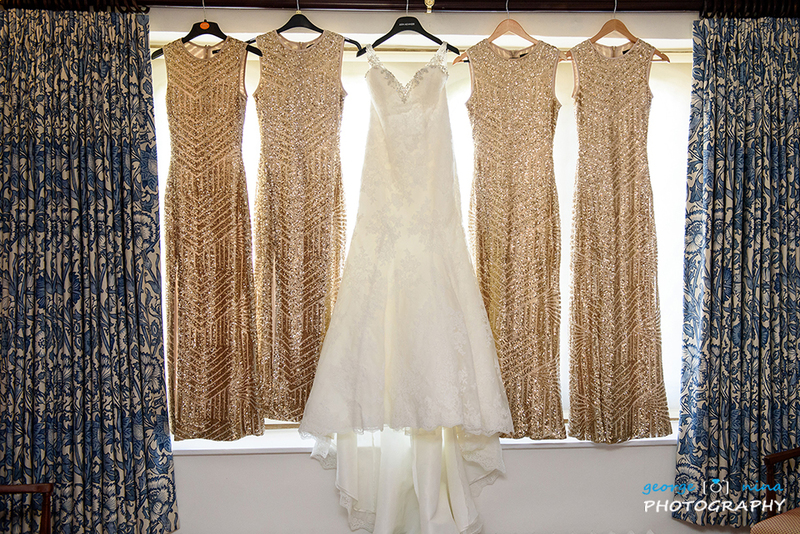 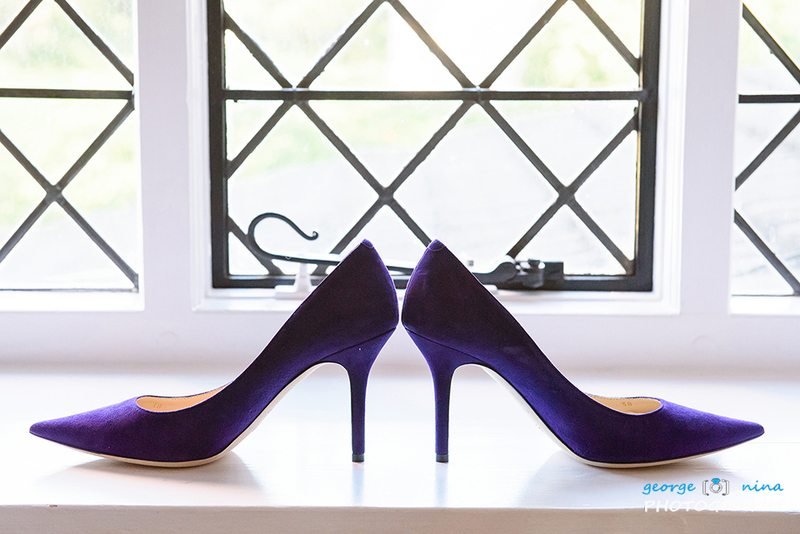 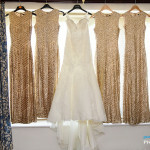 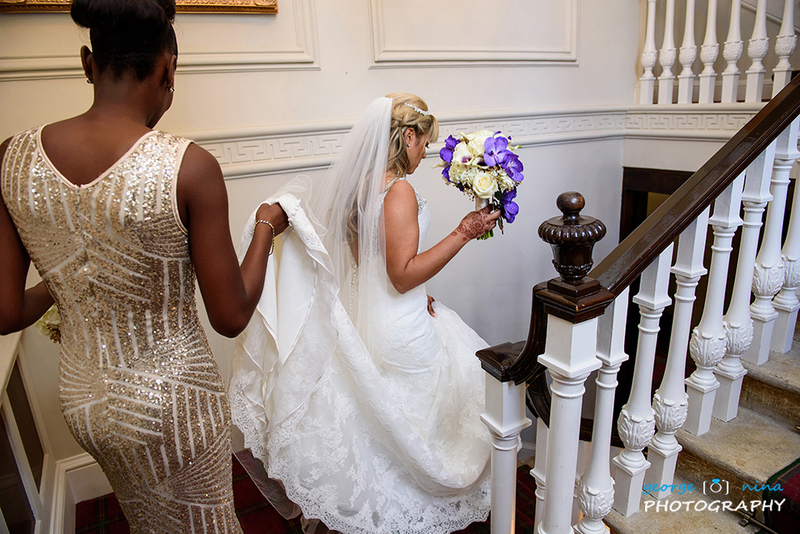 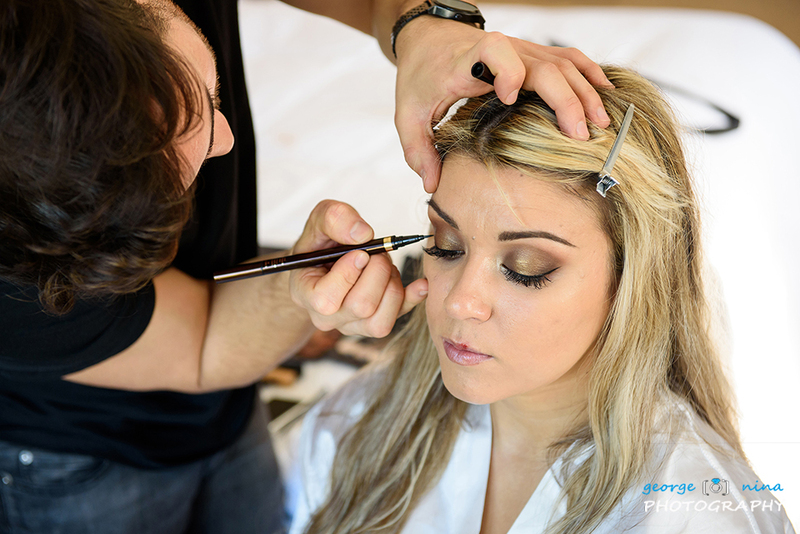 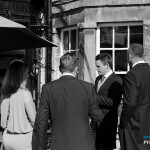 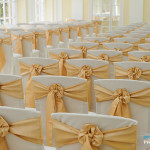 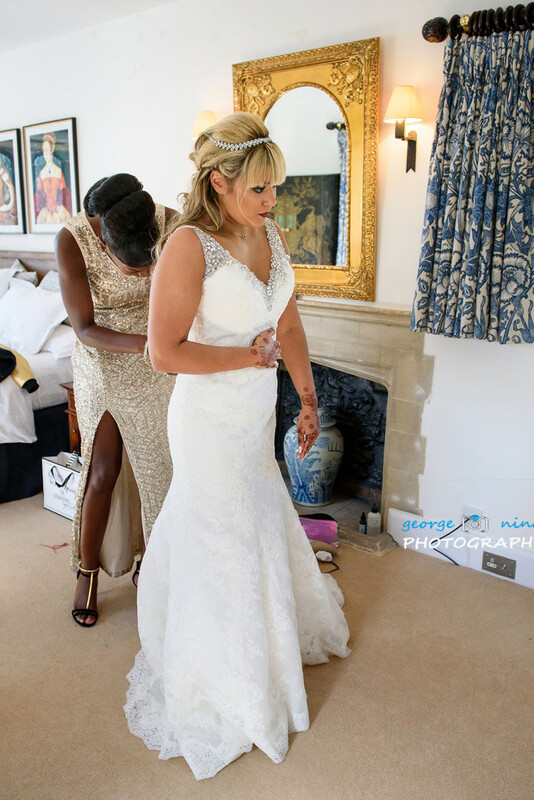 The day started with Lisa getting ready at The Manorat Weston on the Green hotel. 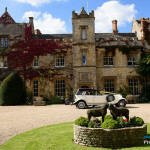 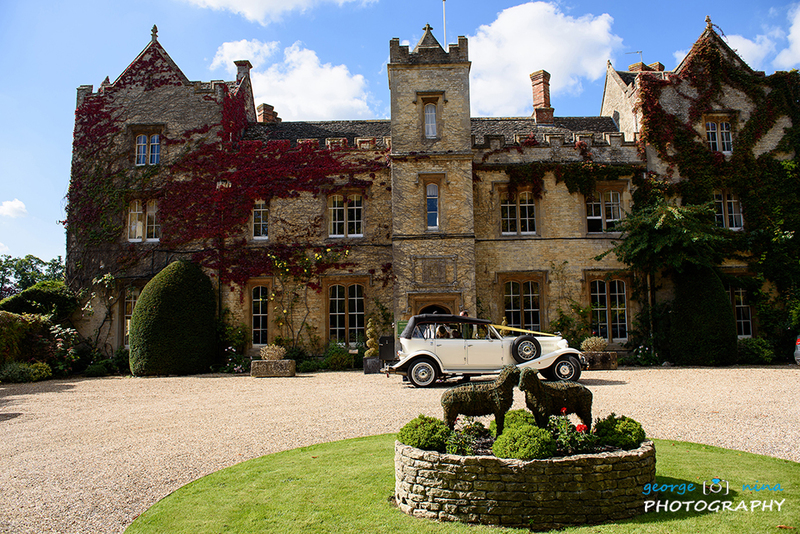 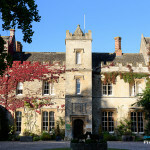 This is a great location and a beautiful hotel with great history behind it. 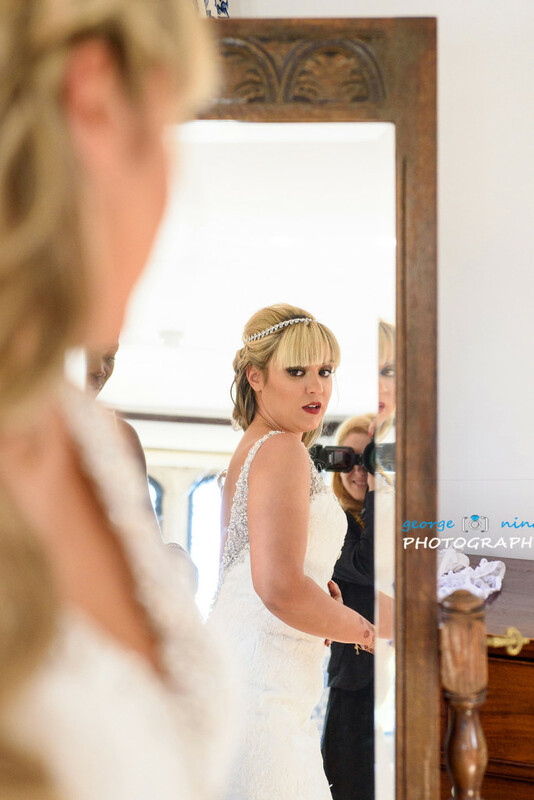 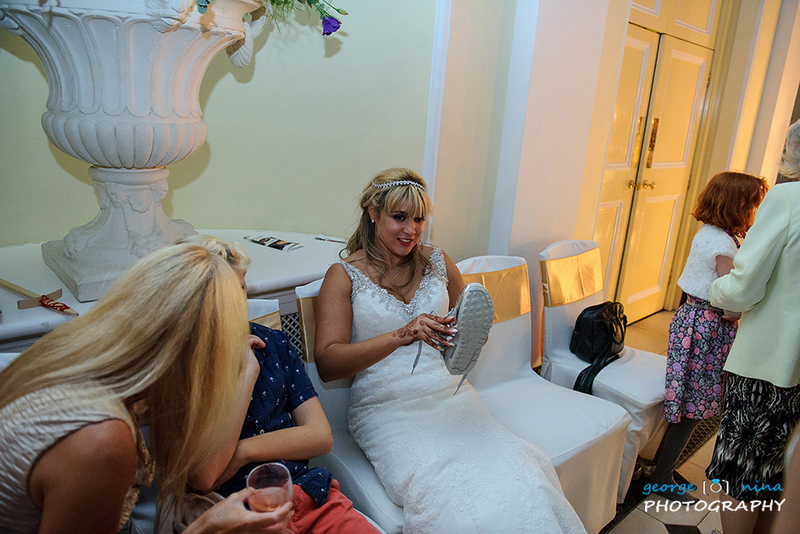 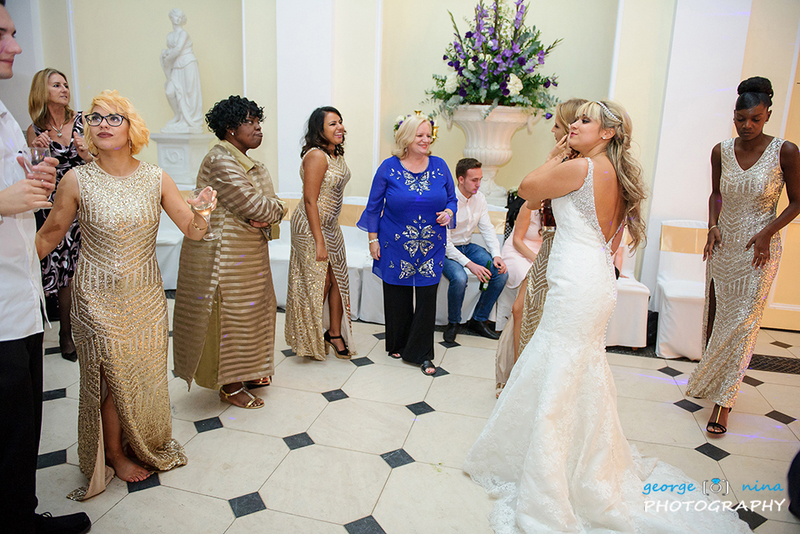 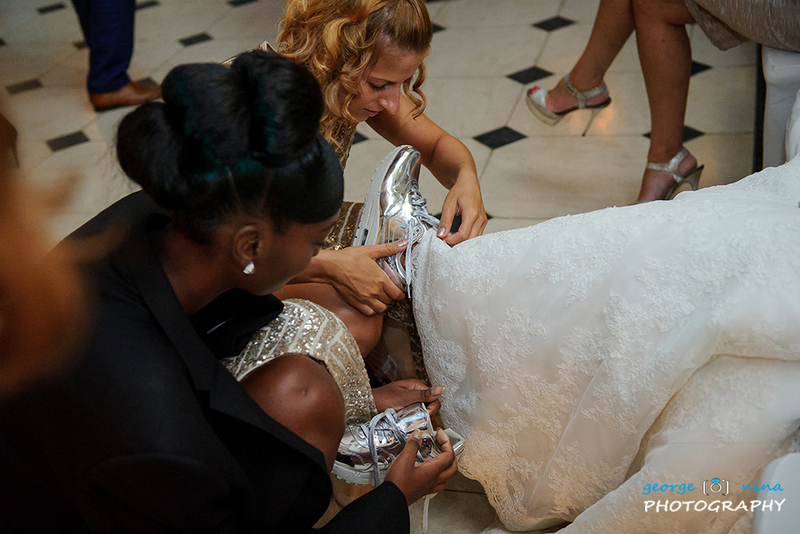 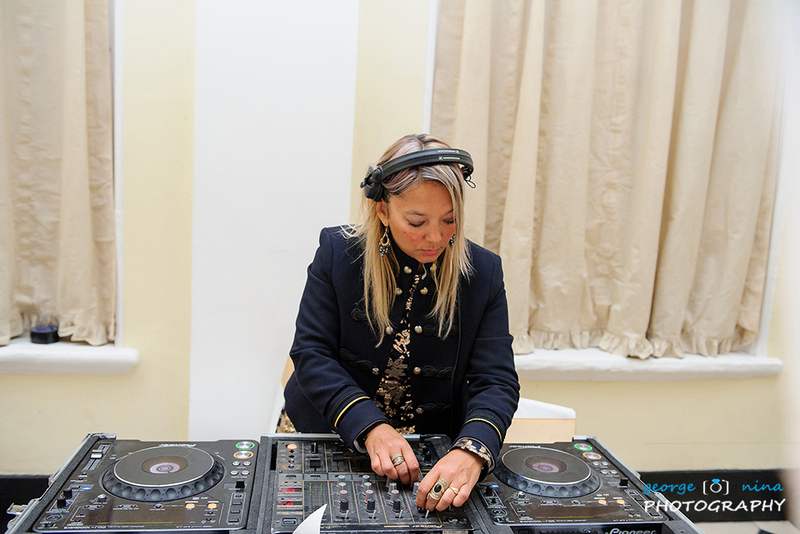 Nina was covering Lisa and in this time George left to cover the groom morning preparations. 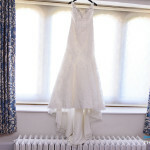 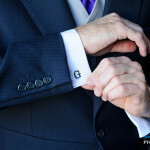 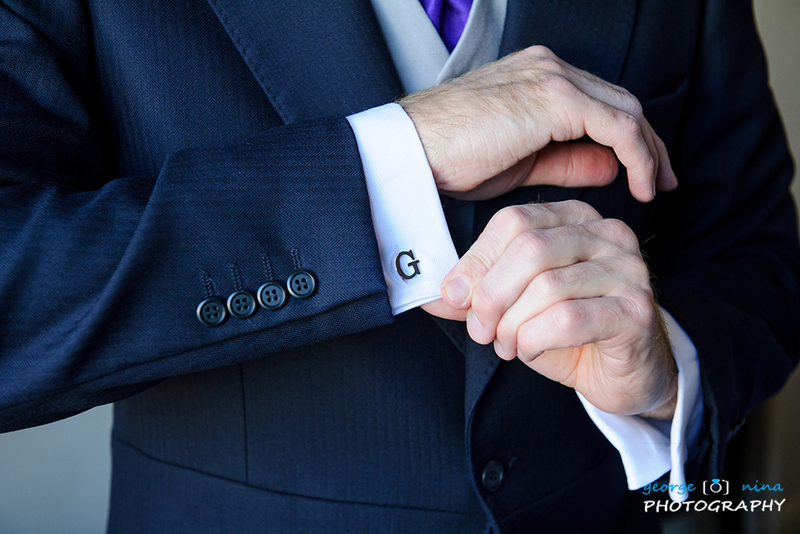 George was getting ready in Oxford, at the Macdonald Randolph Hotel, just a short drive from Lisa. 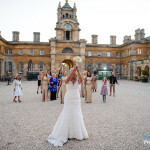 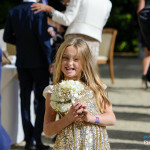 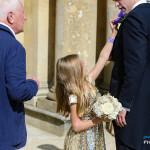 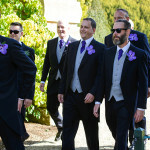 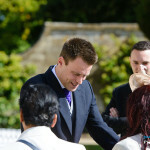 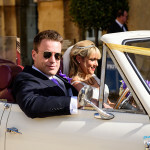 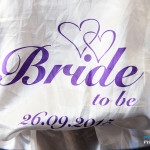 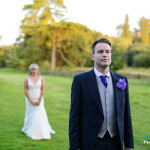 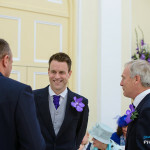 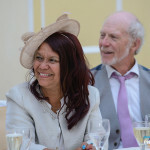 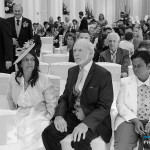 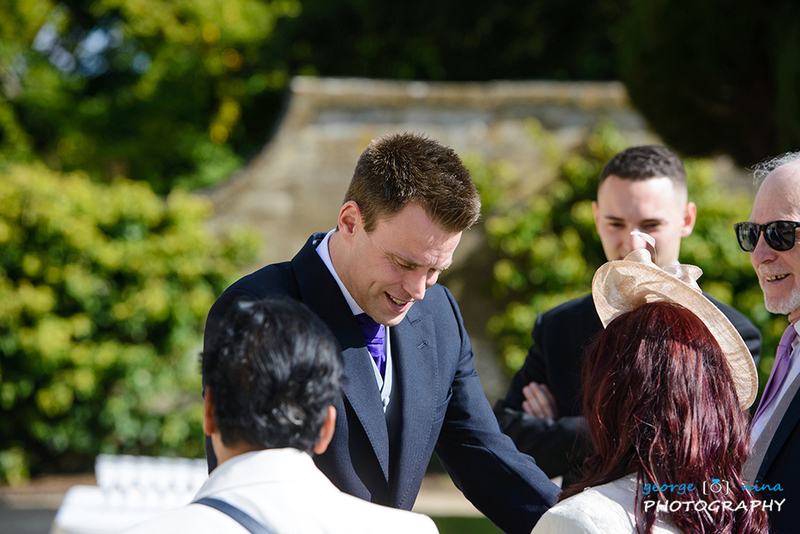 The morning went by really quick and soon it was time to leave towards Blenheim Palace as the ceremony time was getting closer. 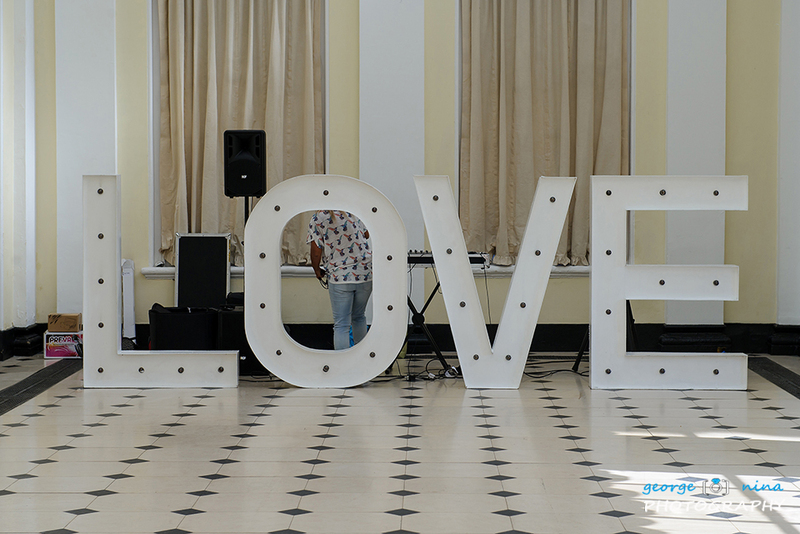 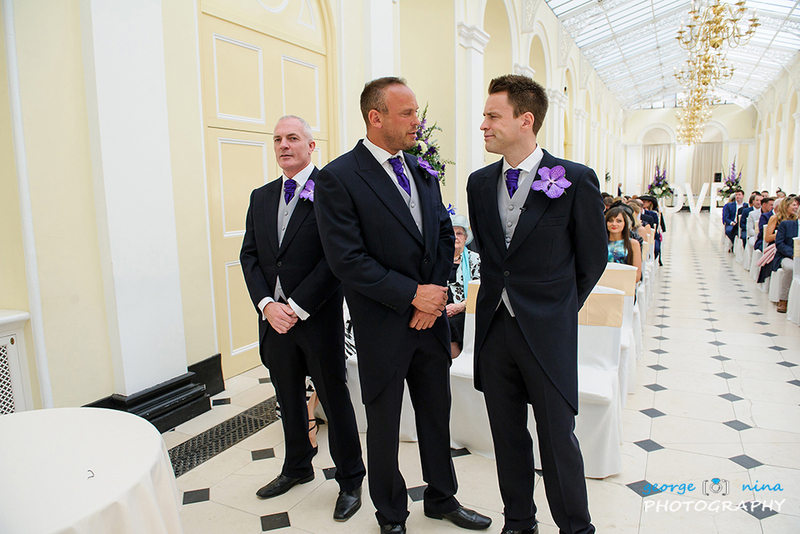 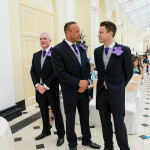 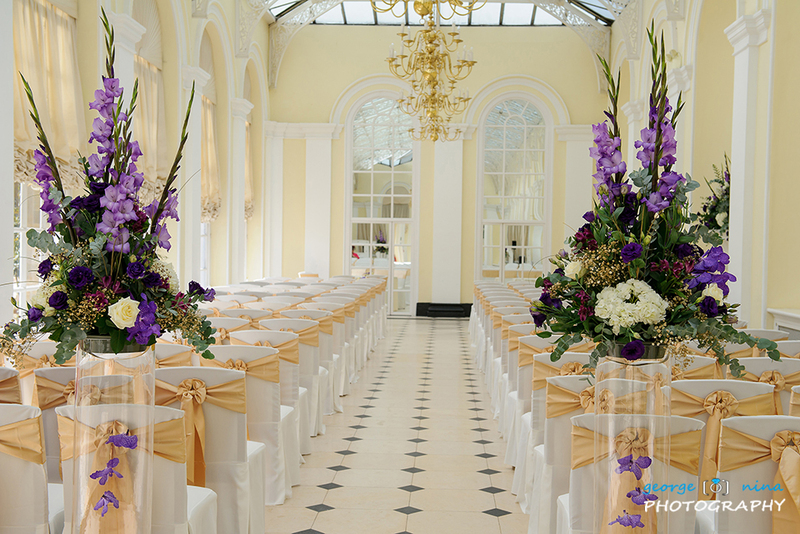 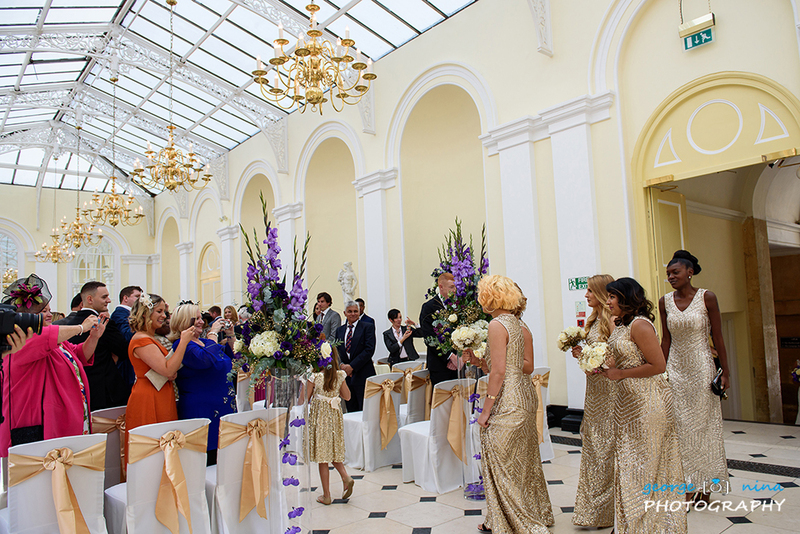 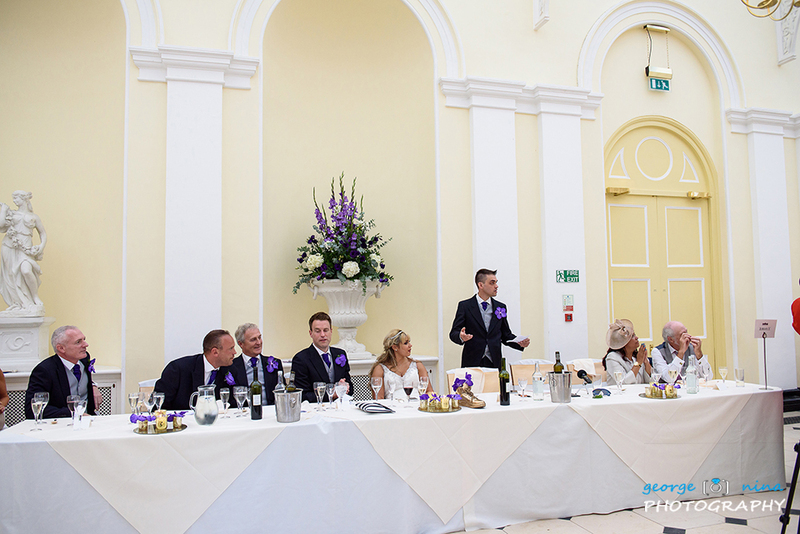 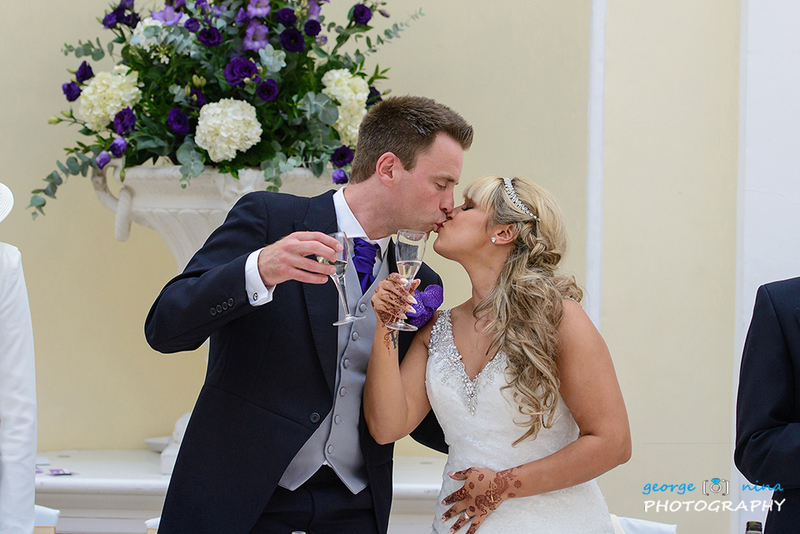 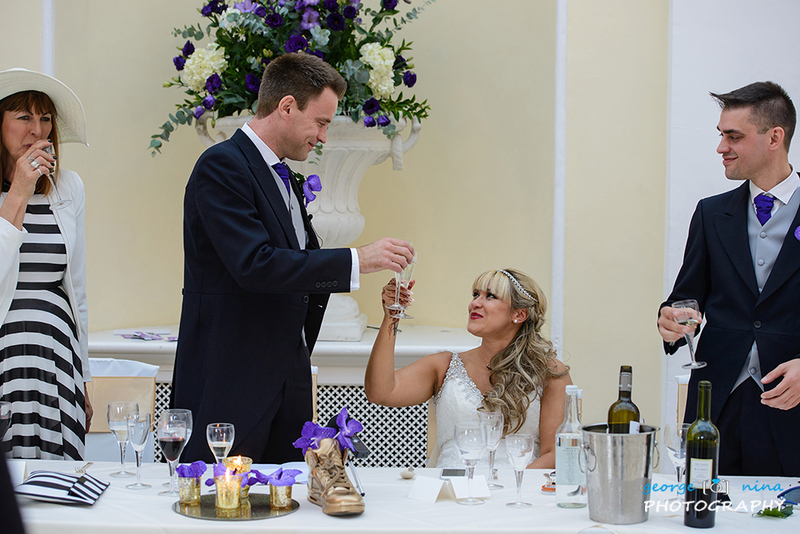 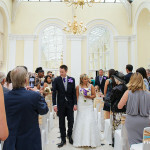 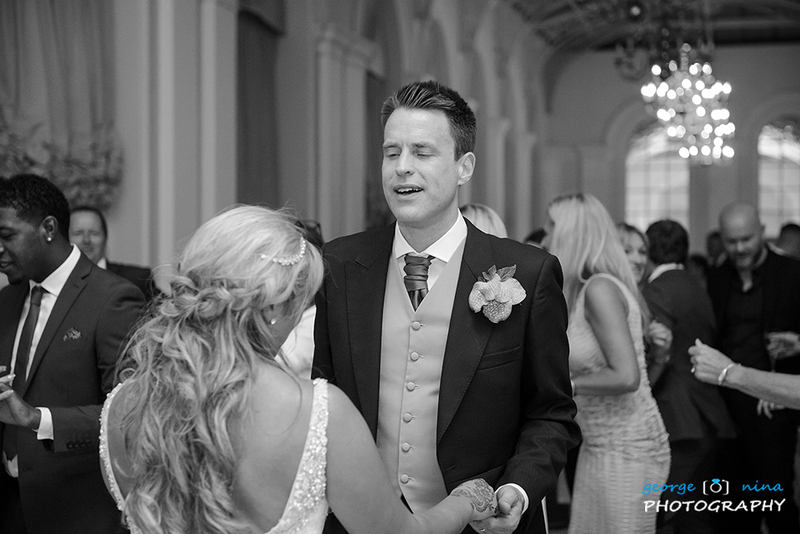 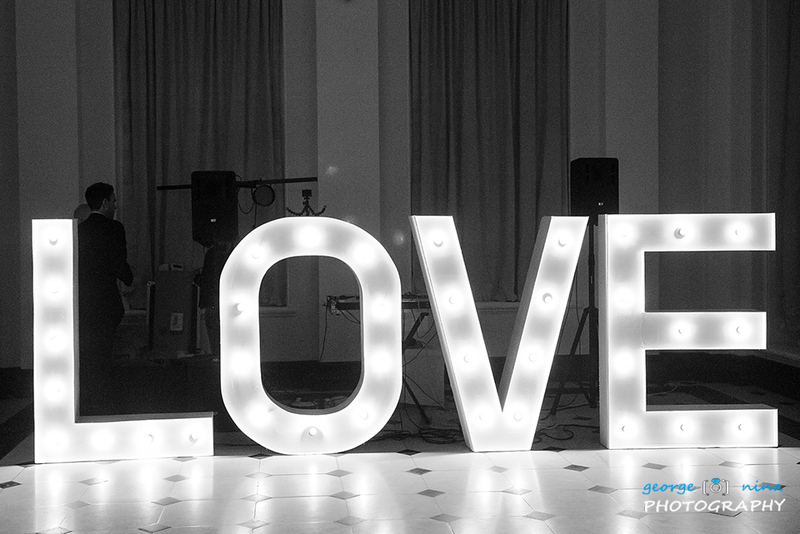 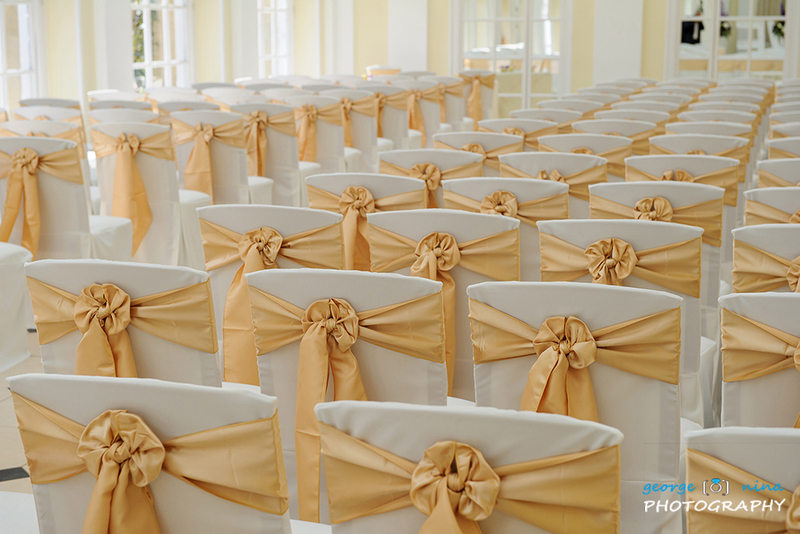 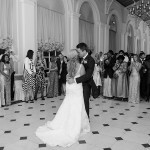 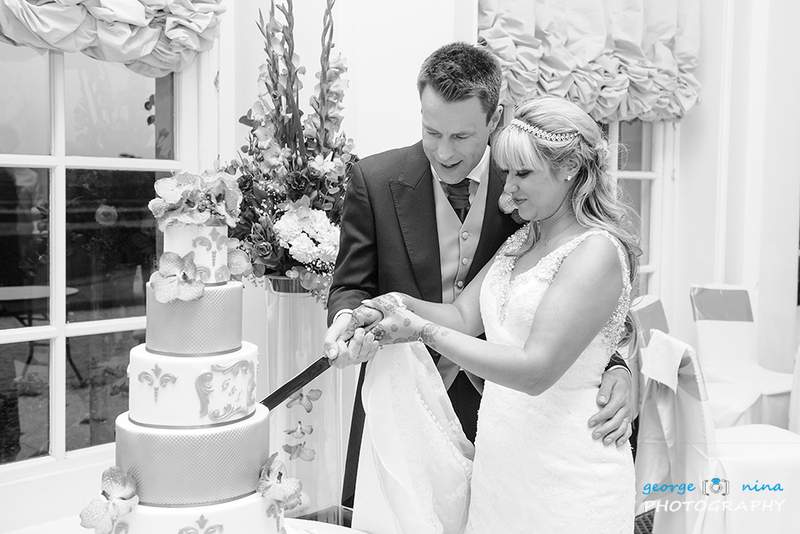 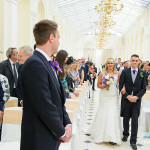 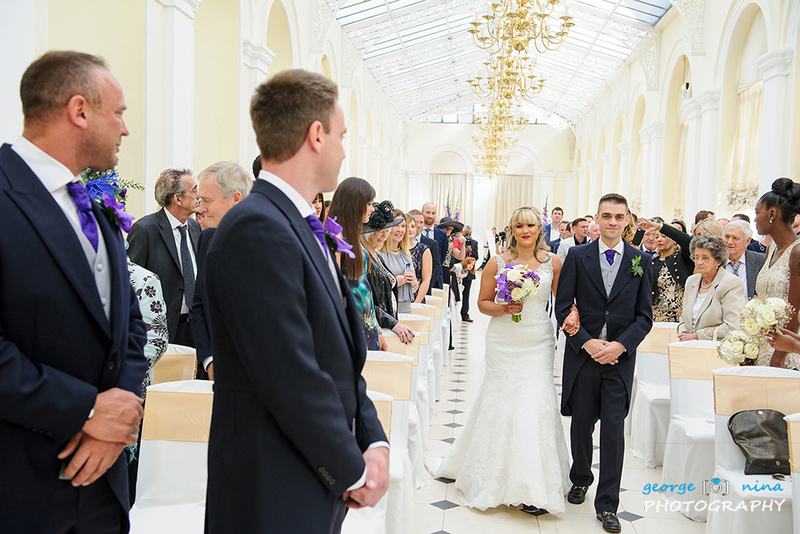 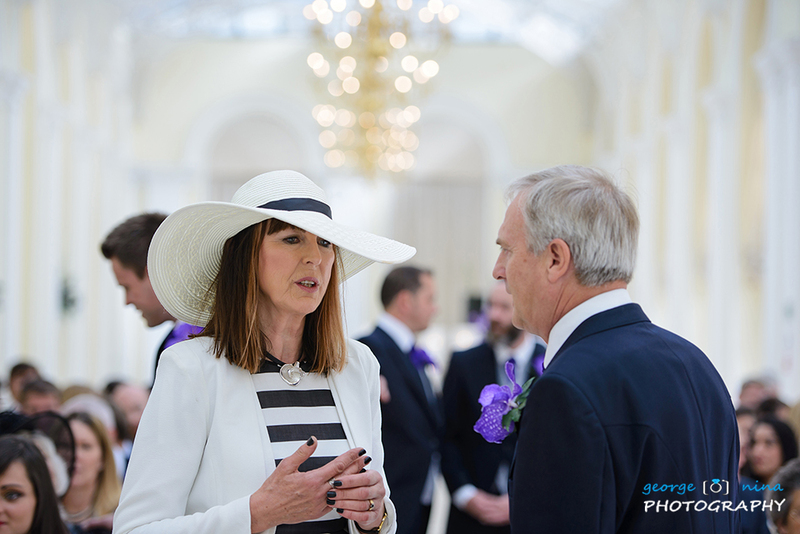 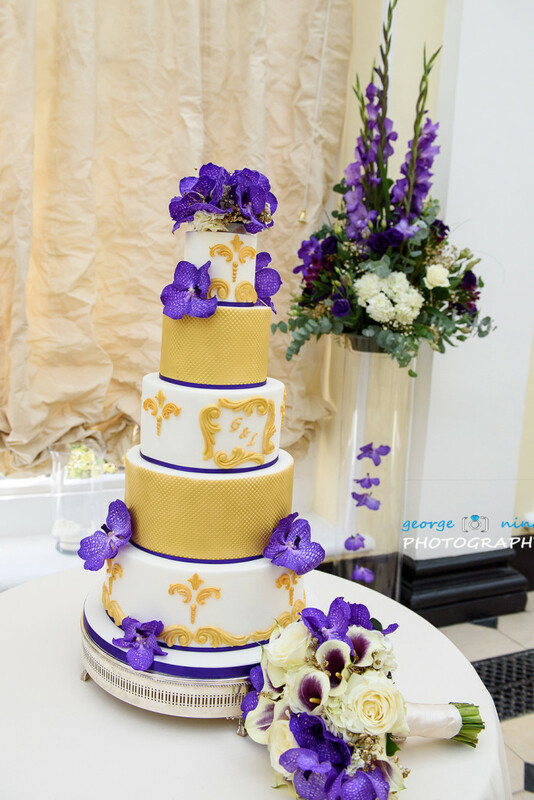 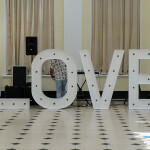 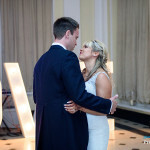 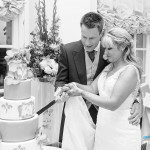 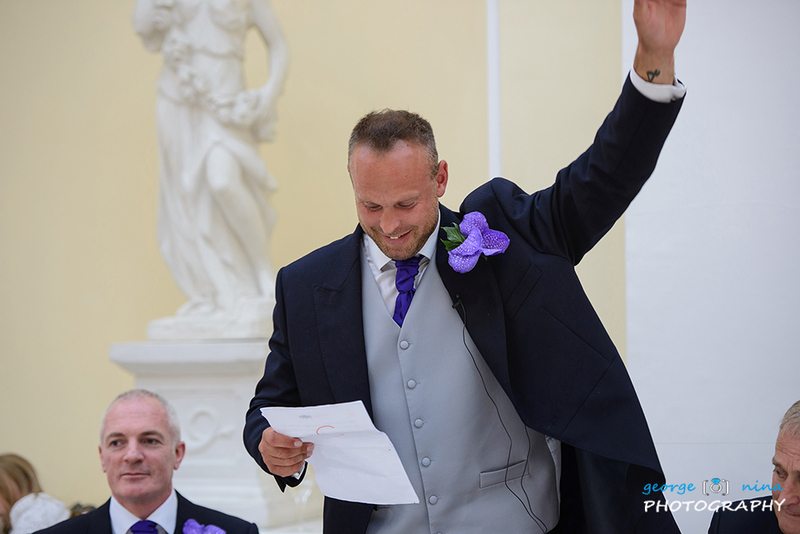 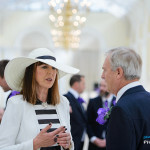 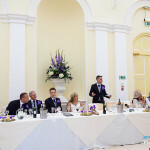 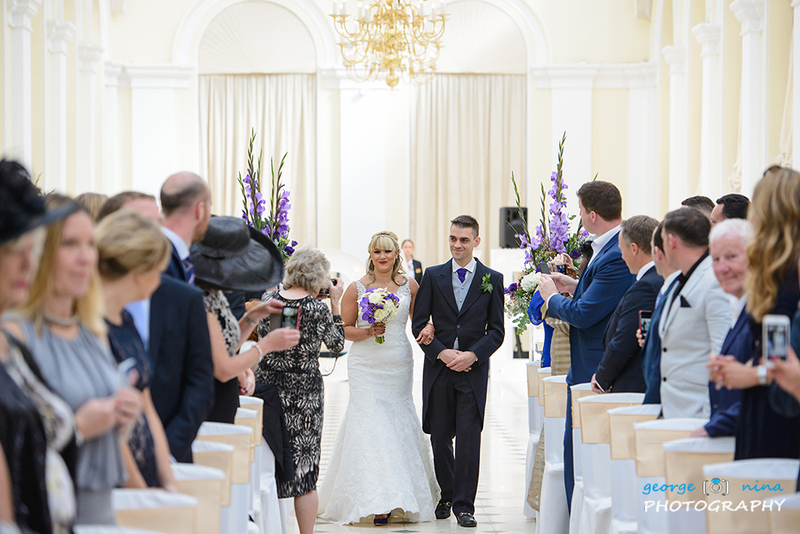 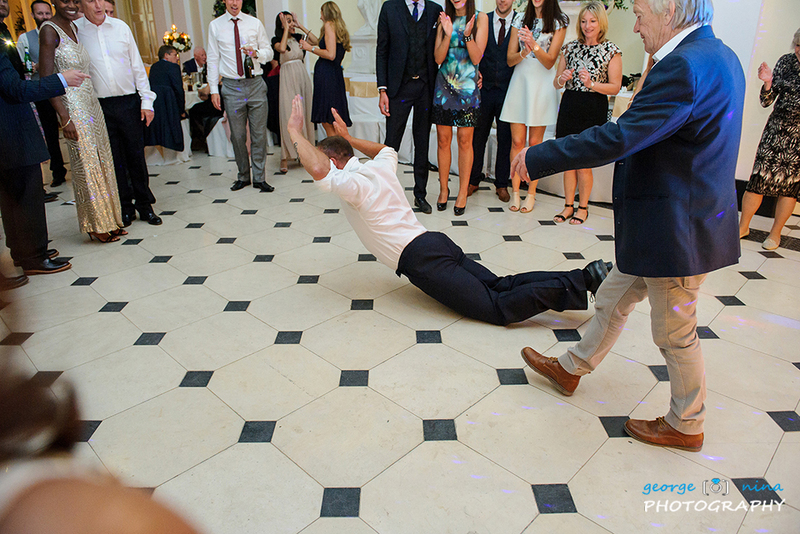 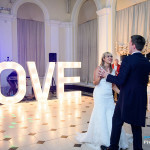 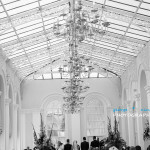 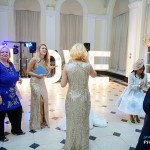 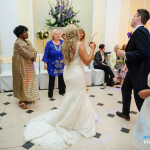 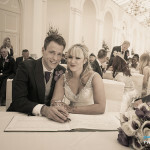 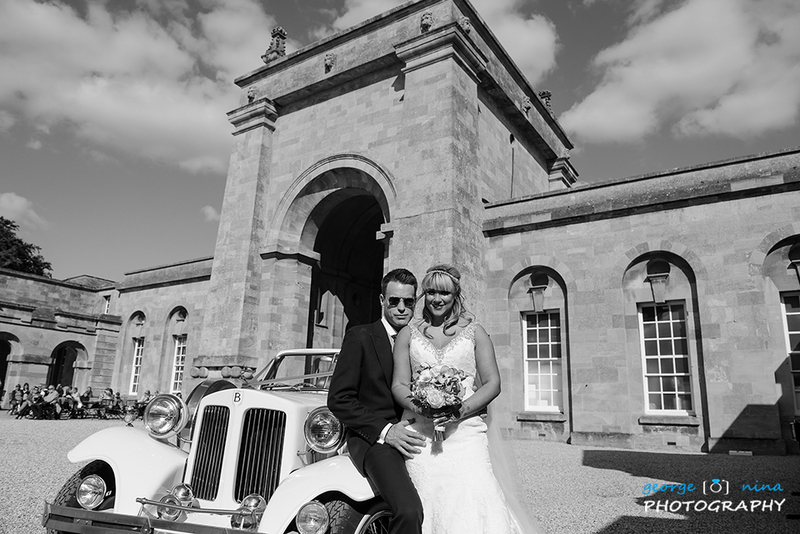 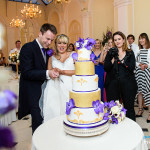 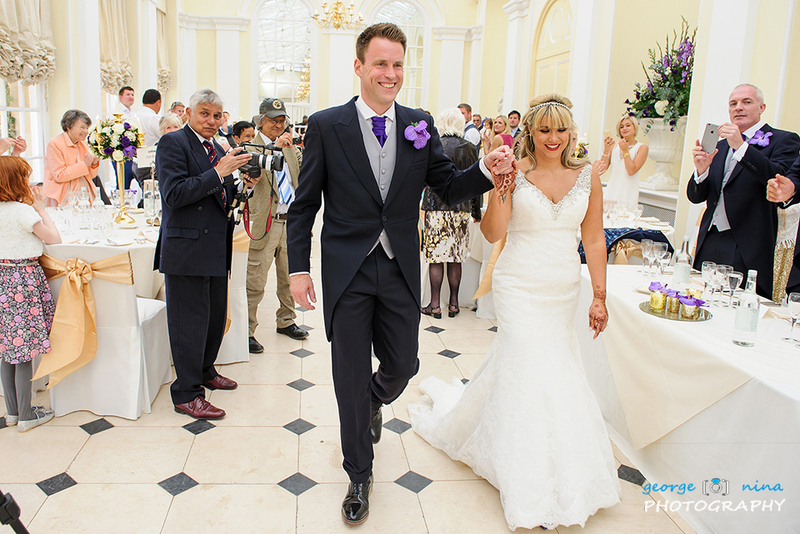 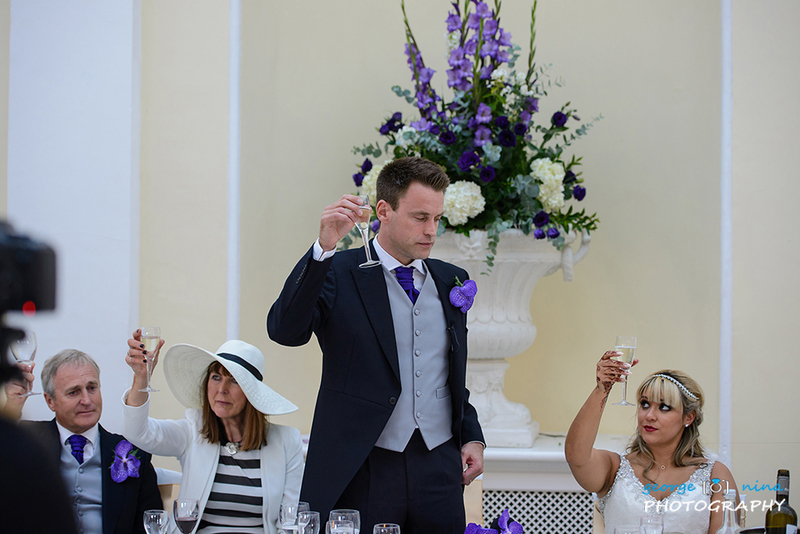 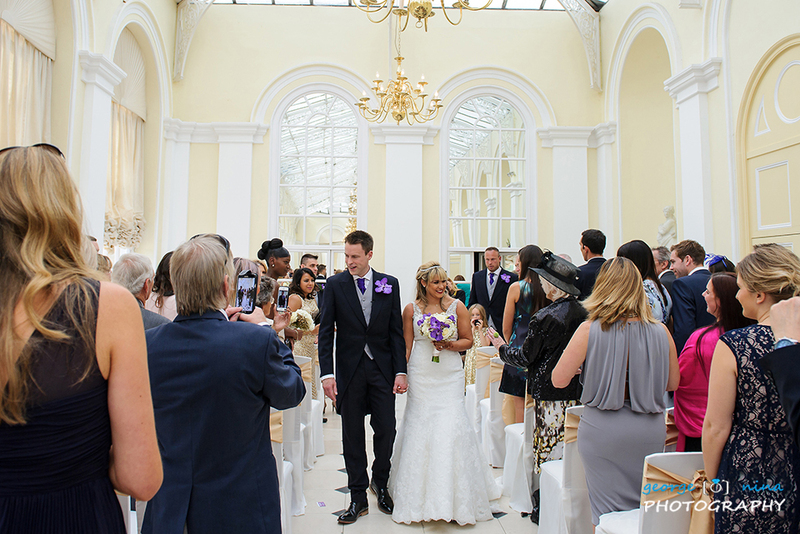 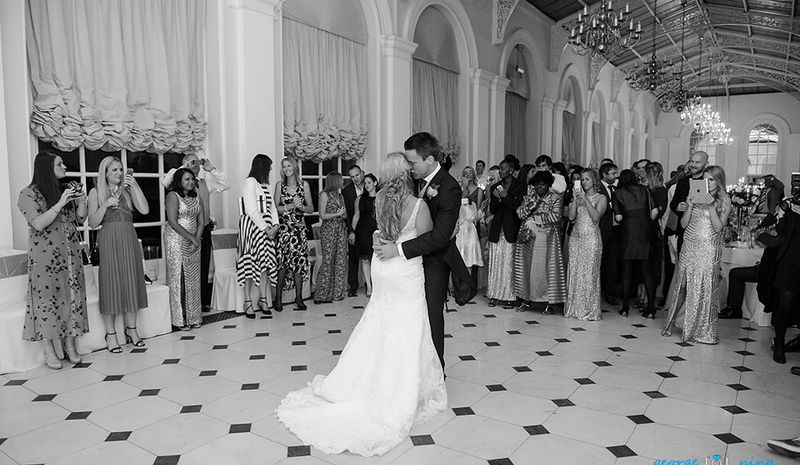 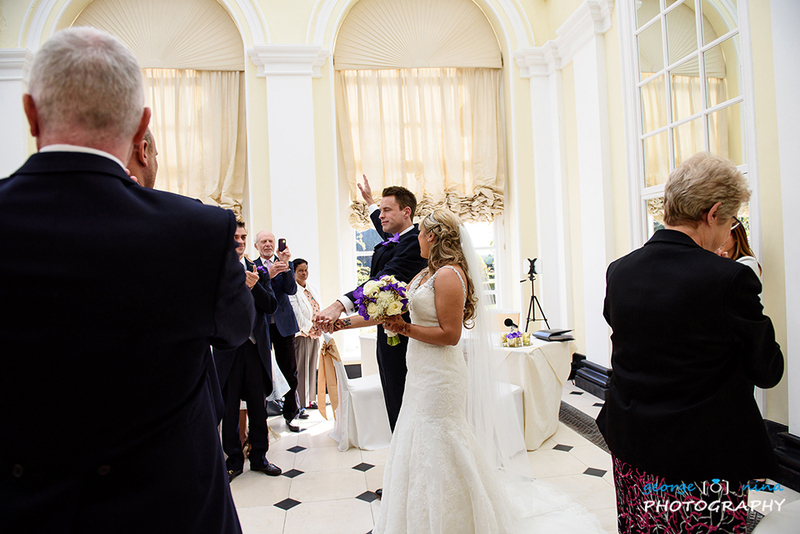 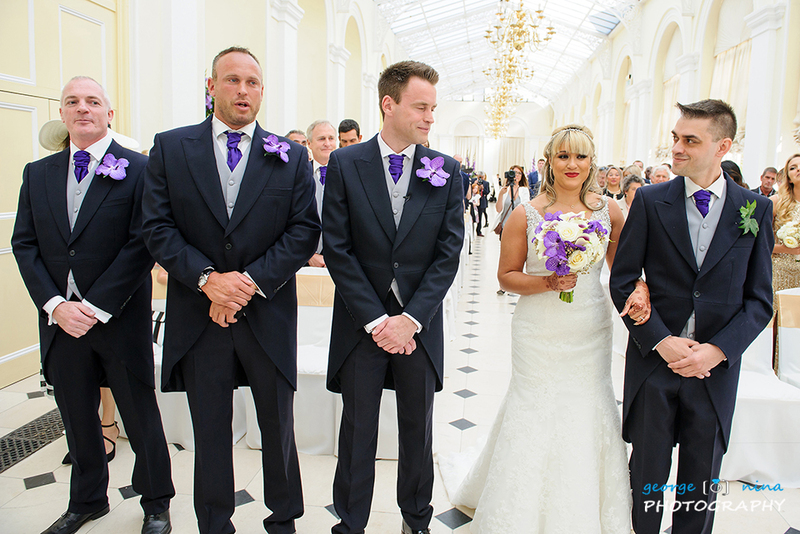 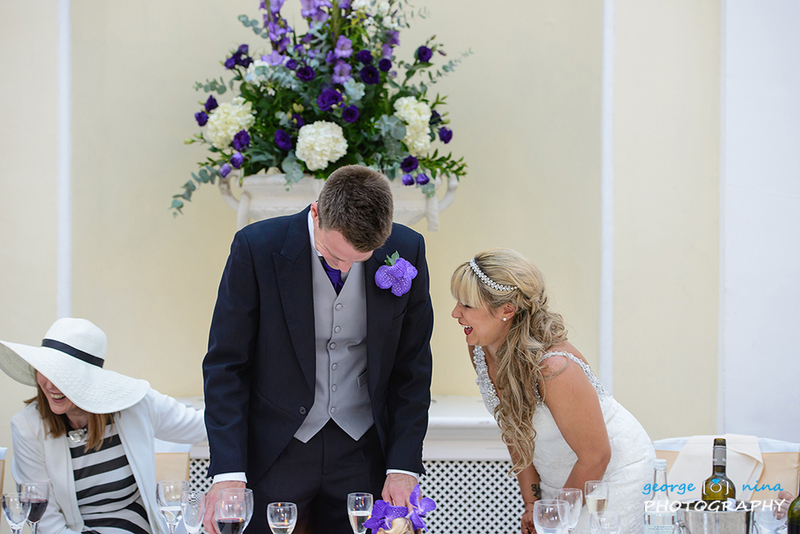 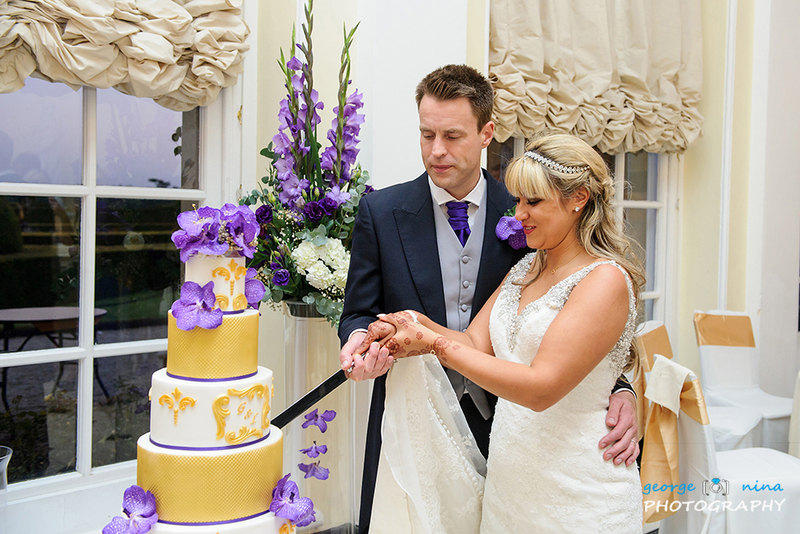 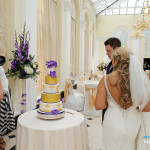 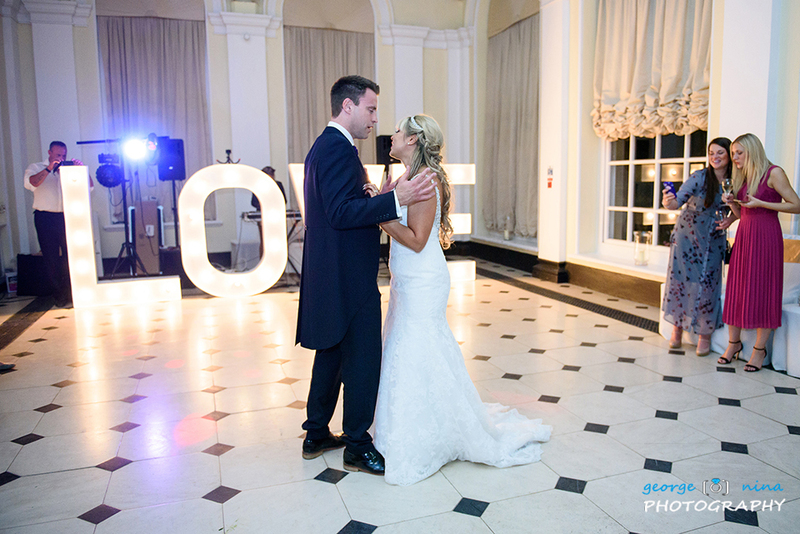 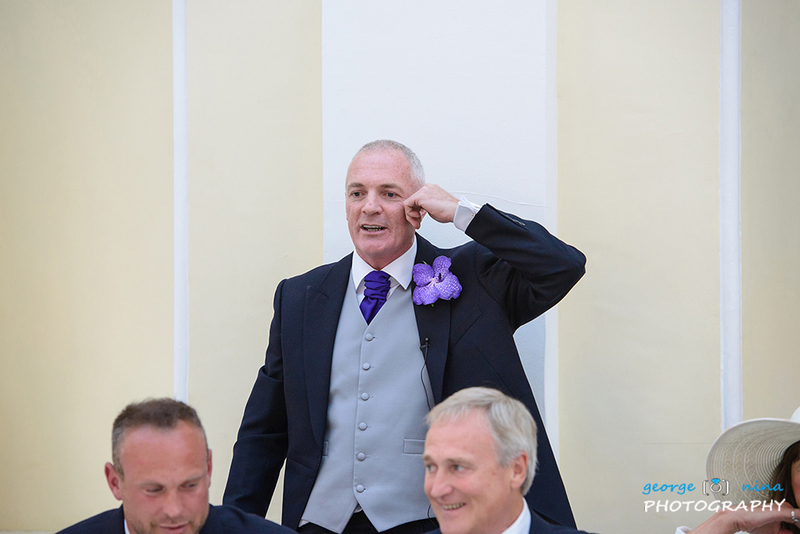 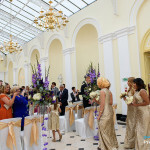 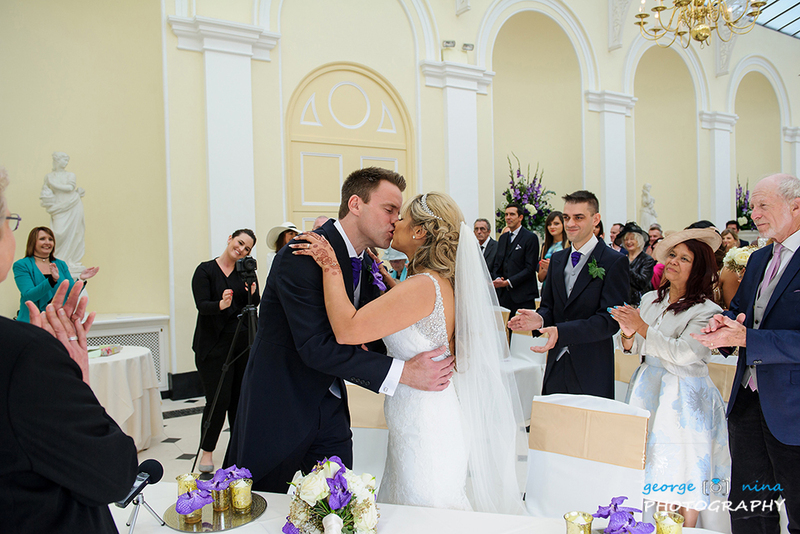 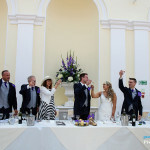 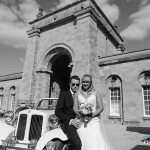 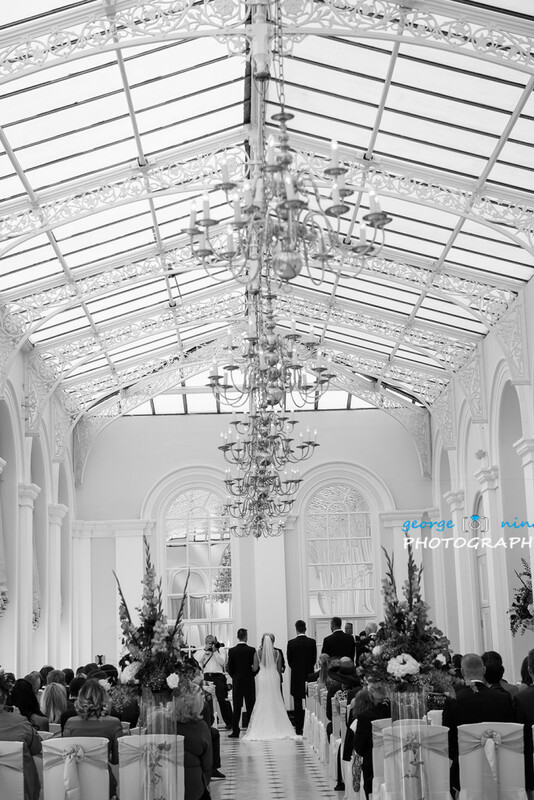 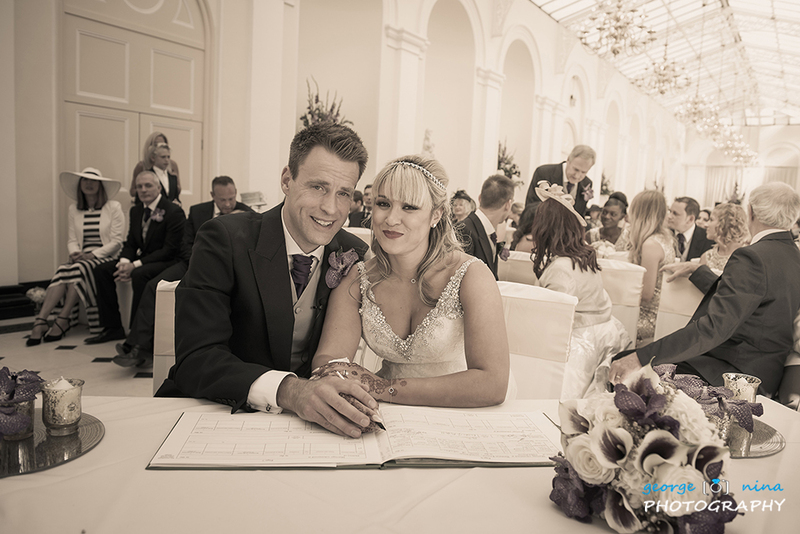 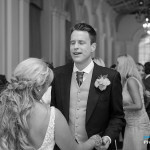 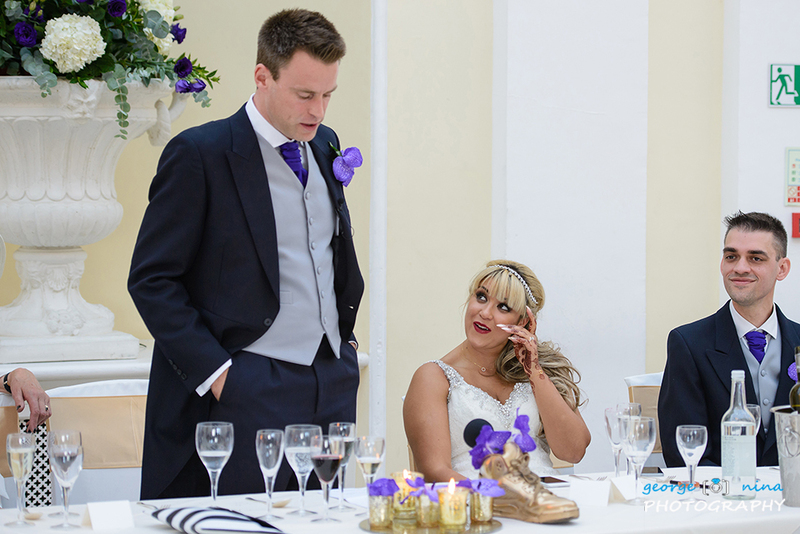 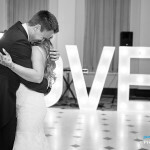 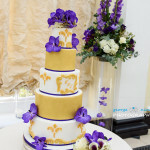 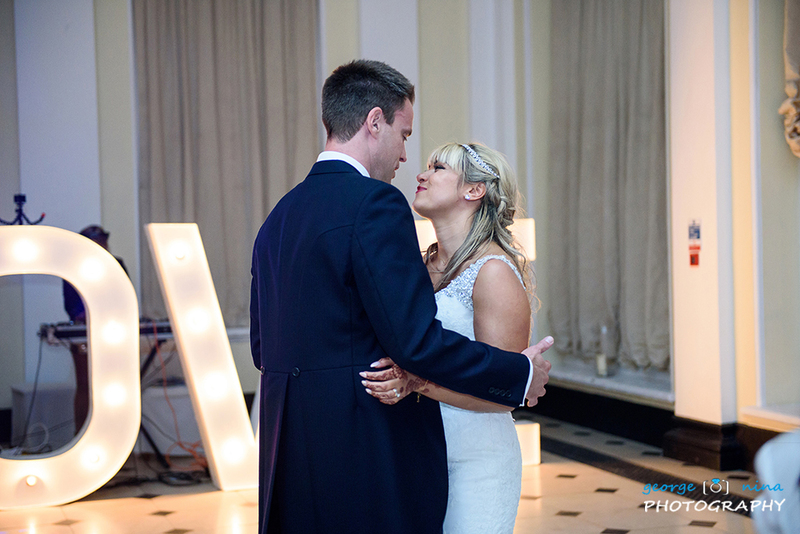 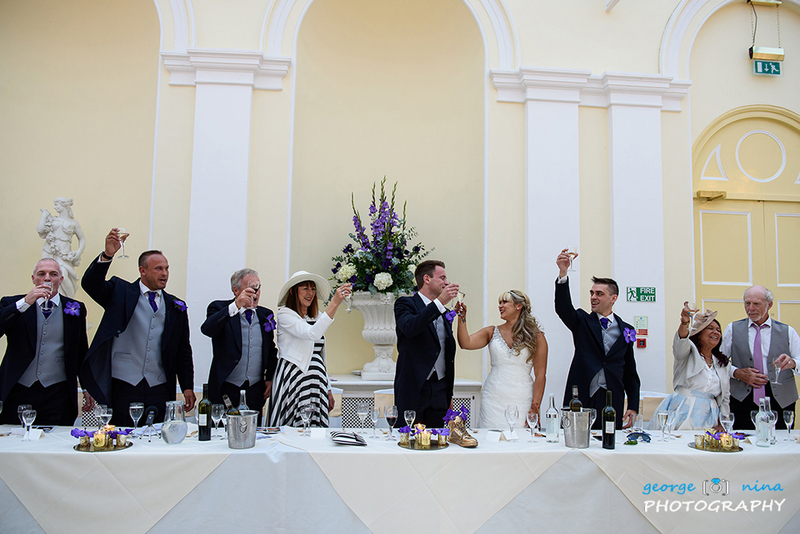 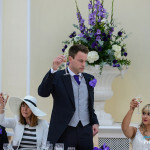 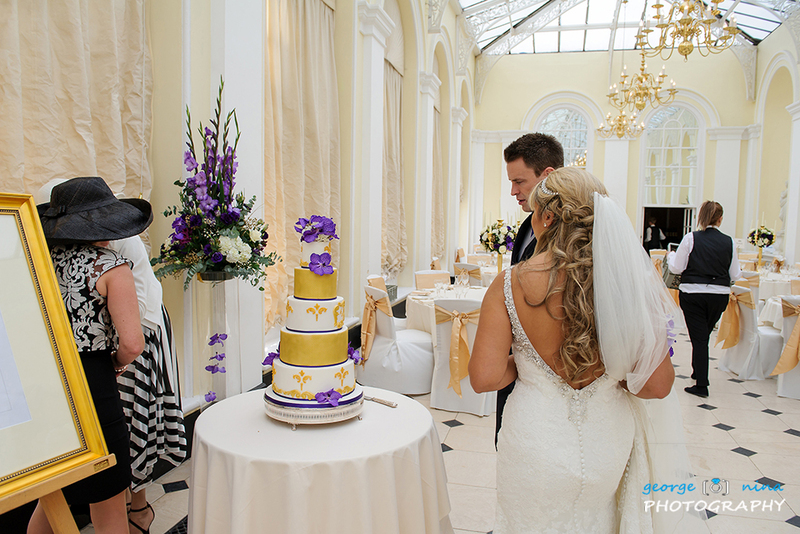 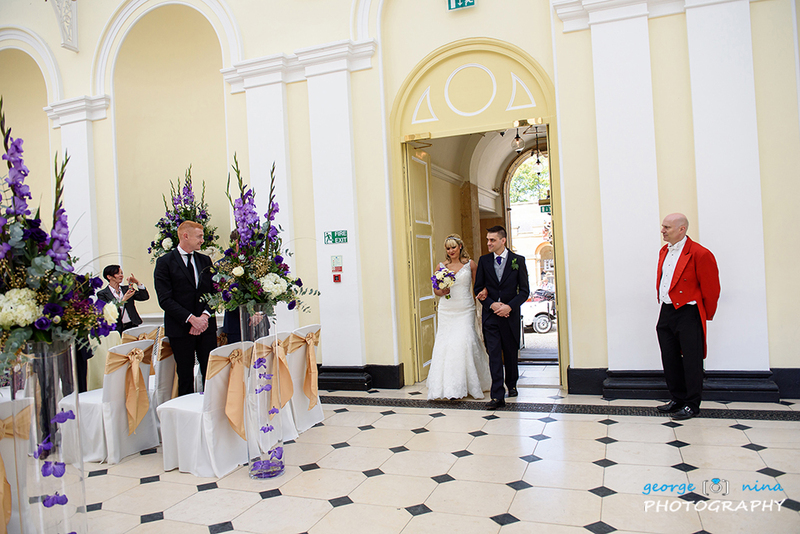 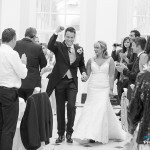 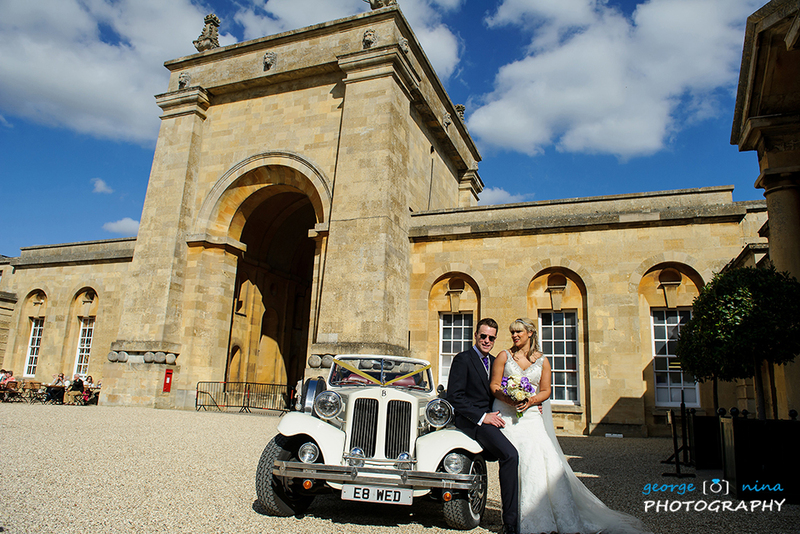 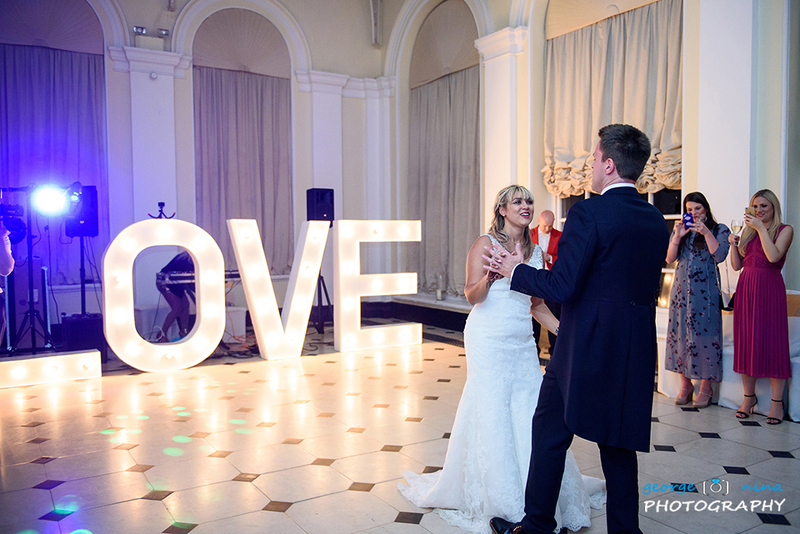 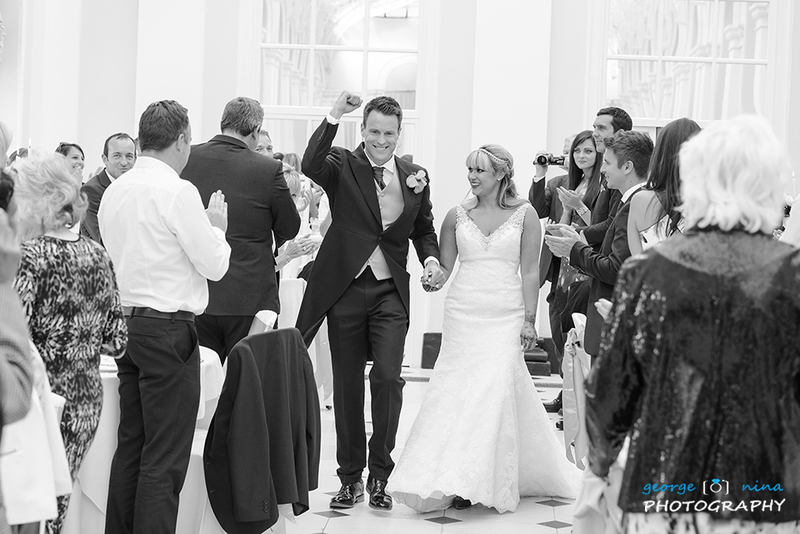 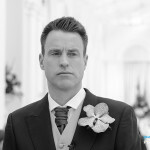 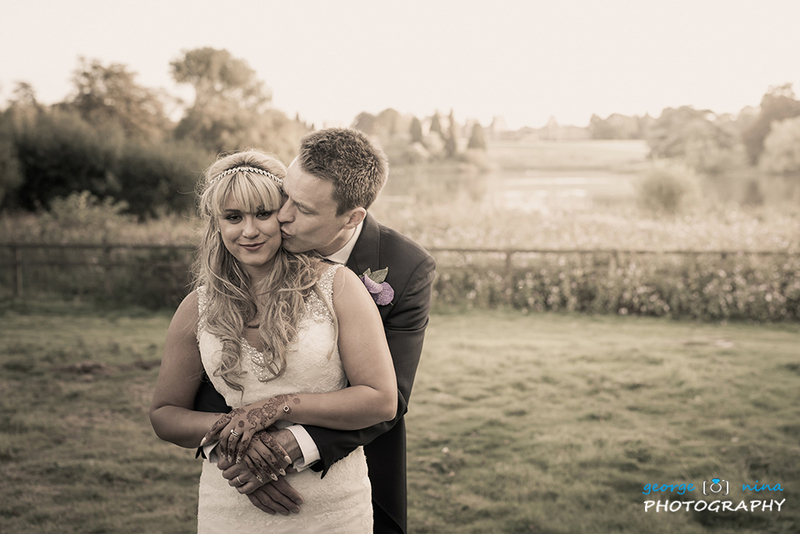 Lisa and George had chosen the amazing Orangery Hall for their wedding and what an impressive Hall it is. 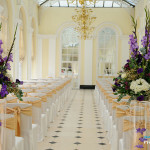 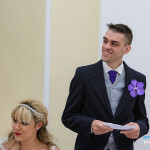 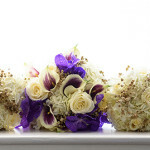 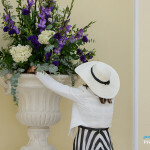 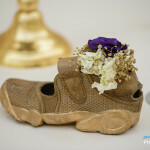 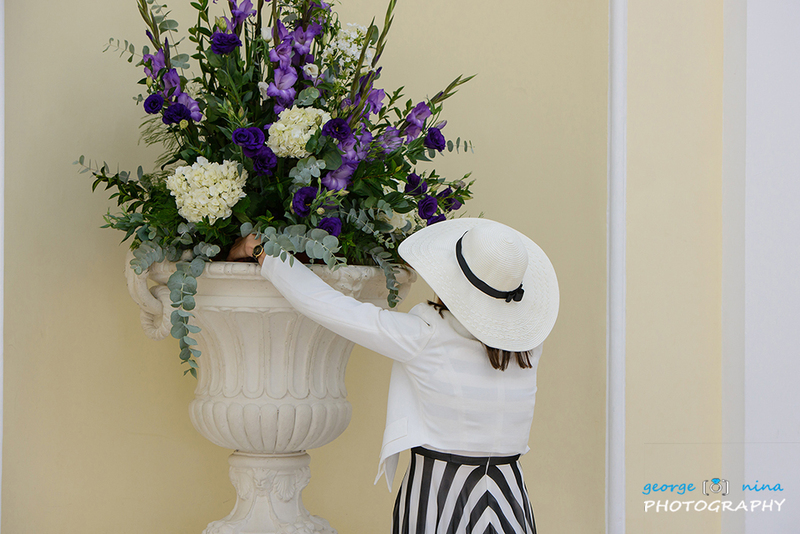 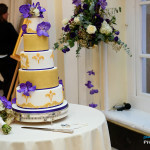 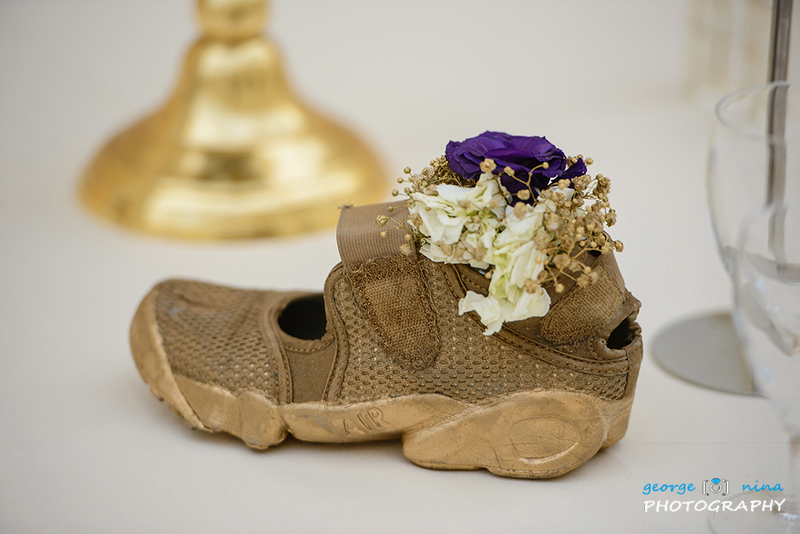 The flowers Lisa had chosen for her wedding day looked absolutely amazing. 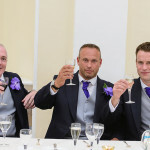 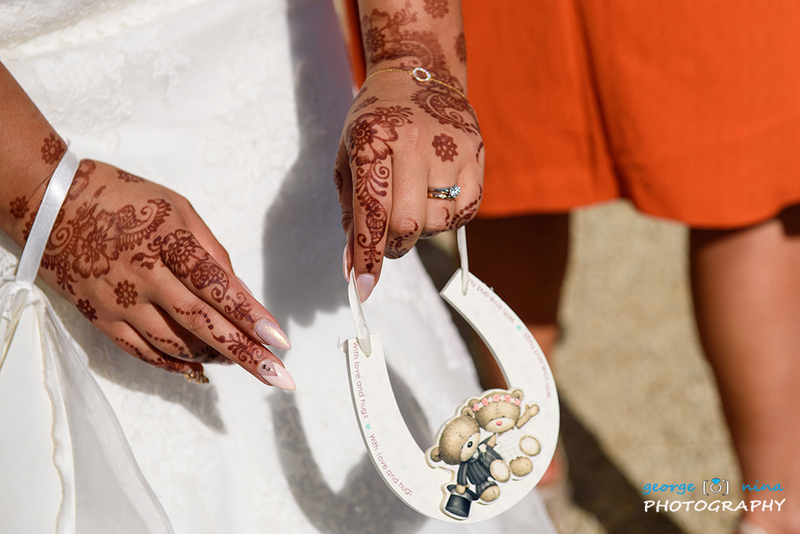 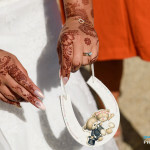 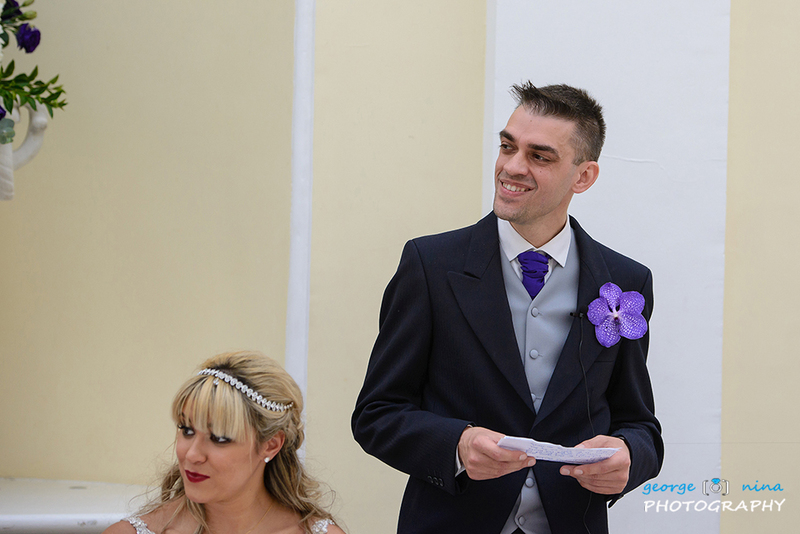 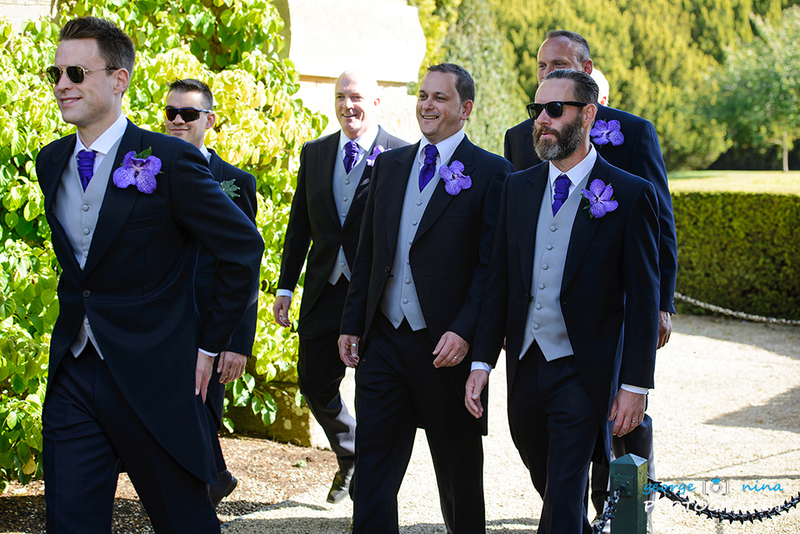 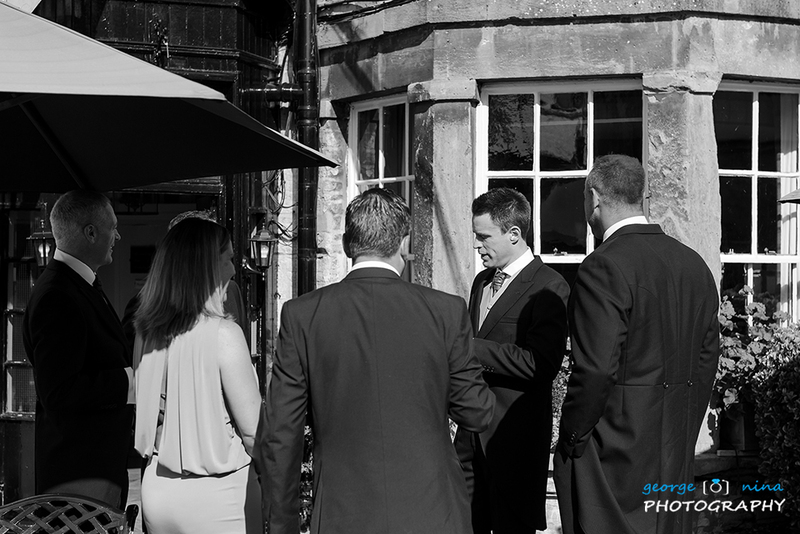 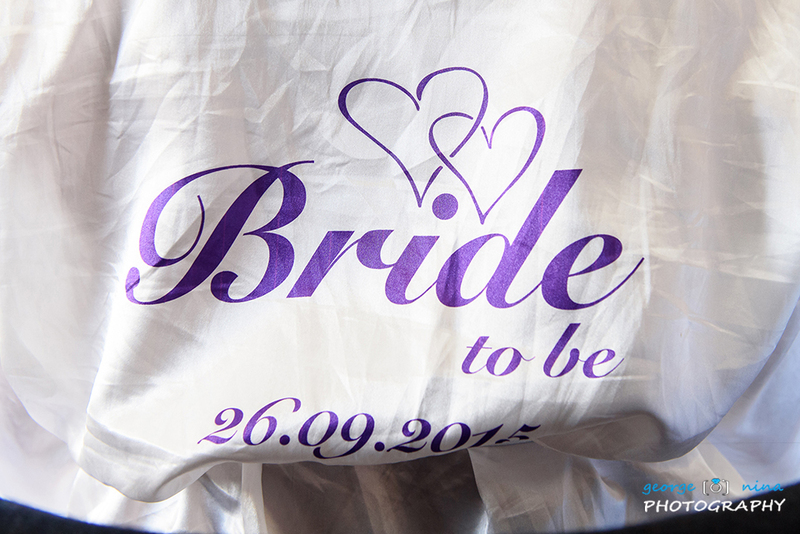 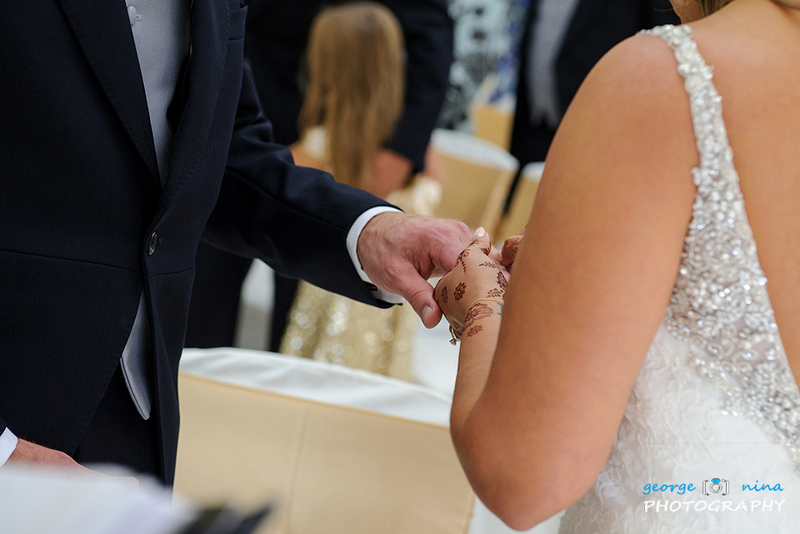 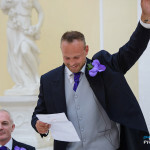 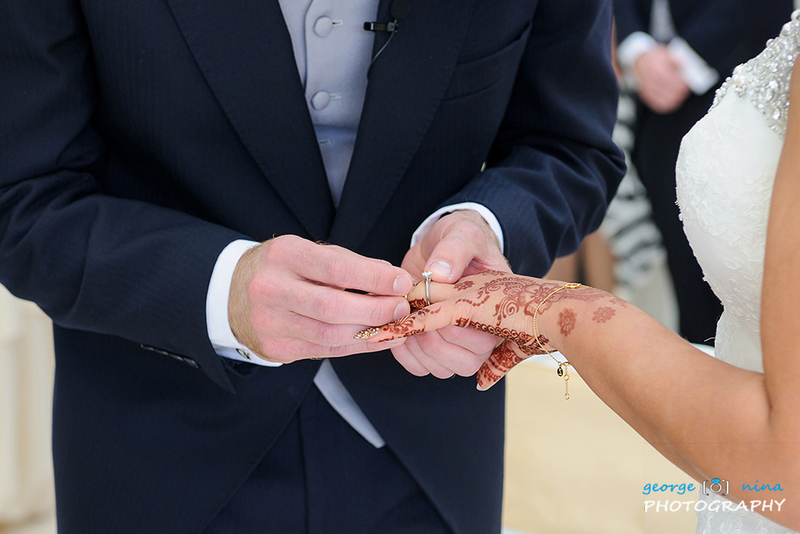 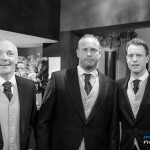 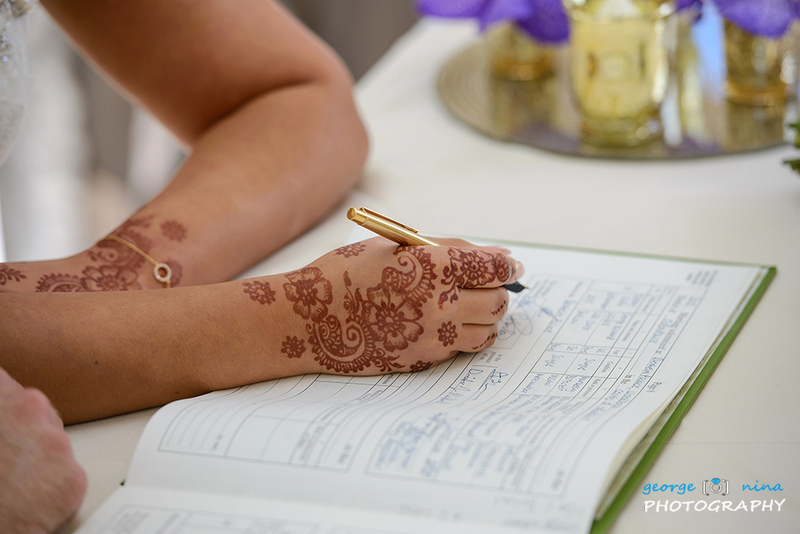 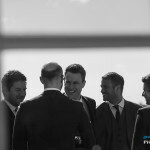 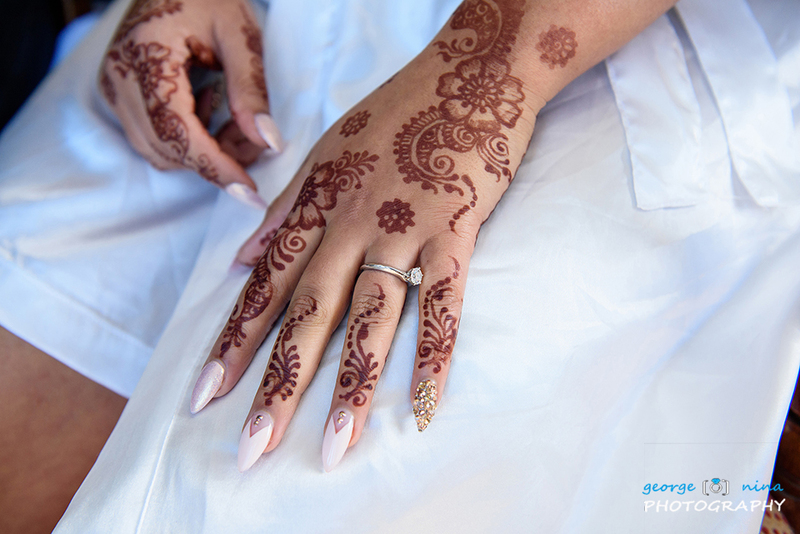 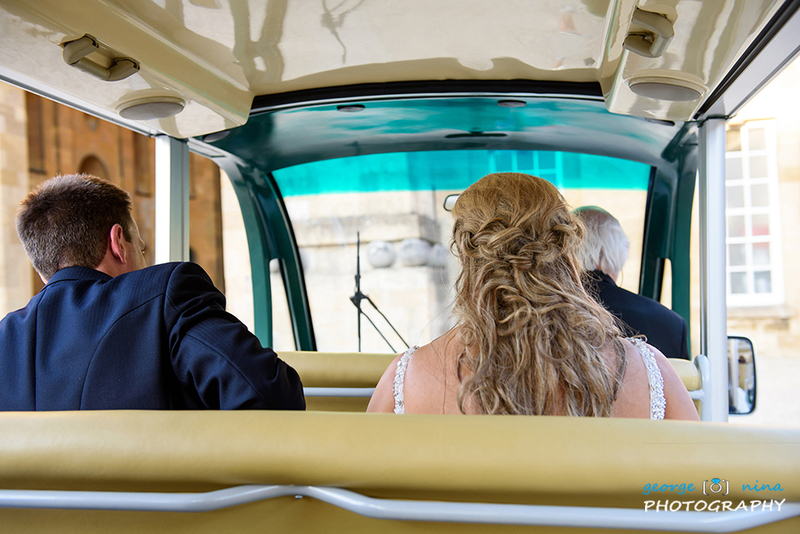 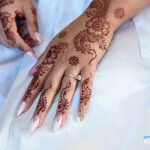 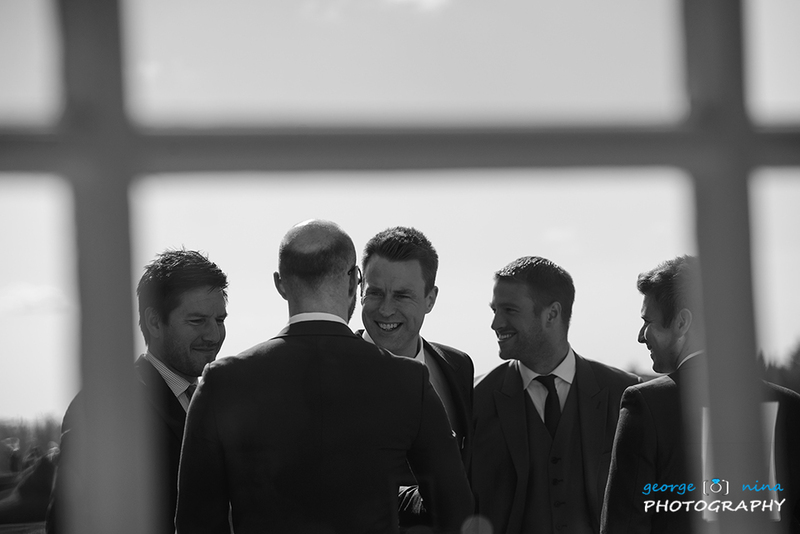 After the impressive and emotional ceremony, the guests enjoyed the beautiful surroundings and the fantastic weather; we quickly captured few formals shots and soon it was time for the wedding breakfast. 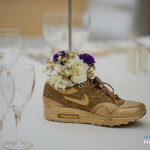 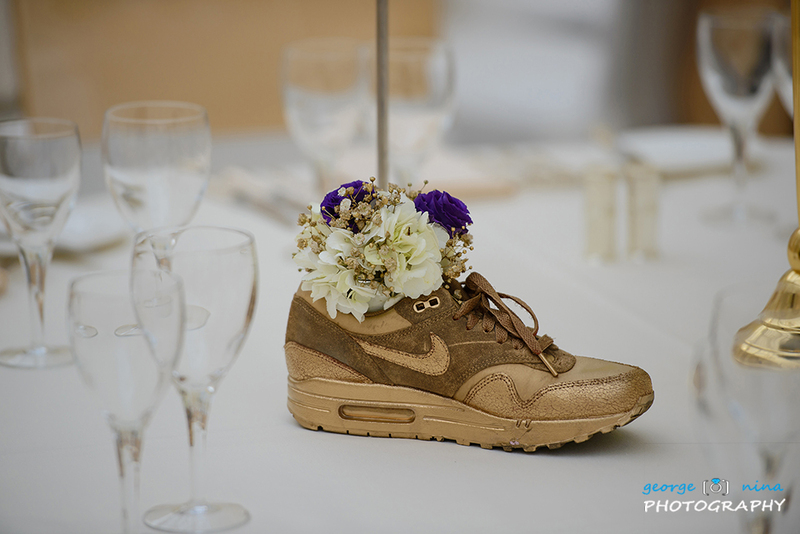 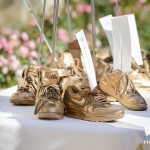 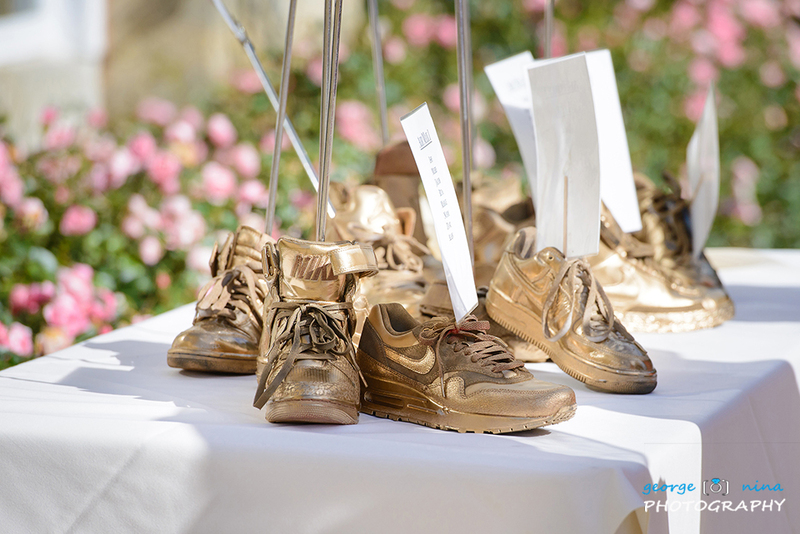 We have to mention the beautiful table signs with a form of Nike snickers: both Lisa and George have a big passion for this brand. 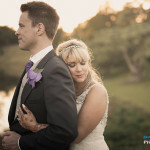 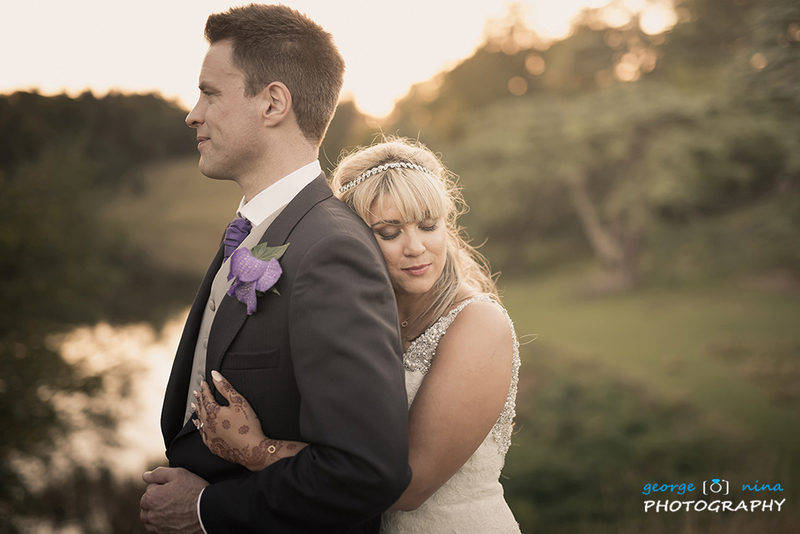 The day got even better for us: we managed to do Lisa and George photo session right before the sunset, and we had the perfect evening light we always want in our pictures. 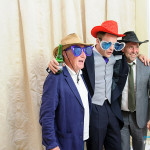 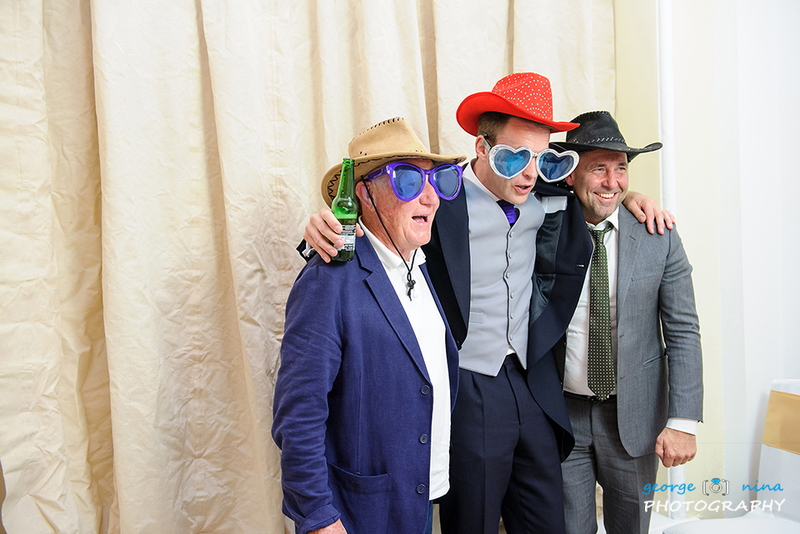 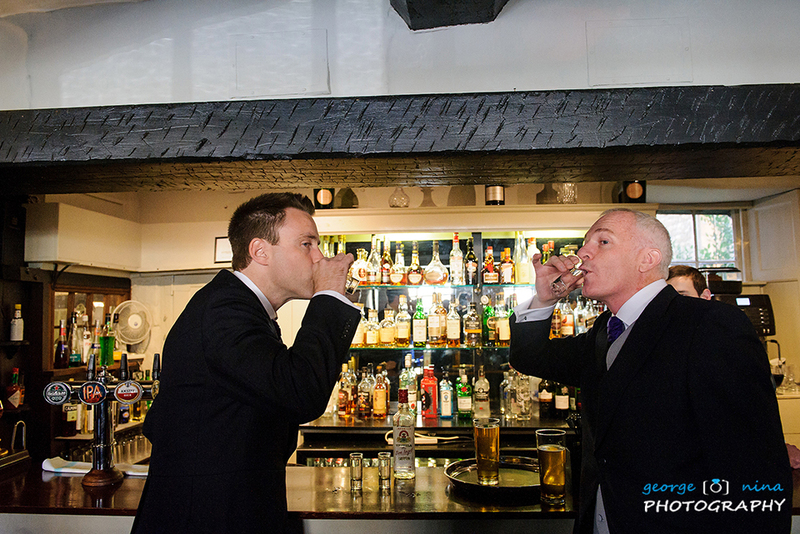 For the evening part, we set up our photo booth and the fun started: it was a very popular attraction on the day. 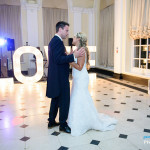 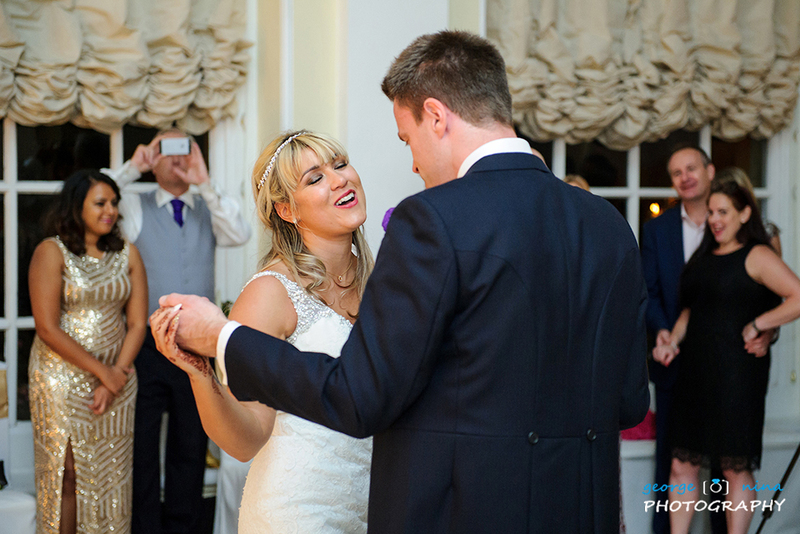 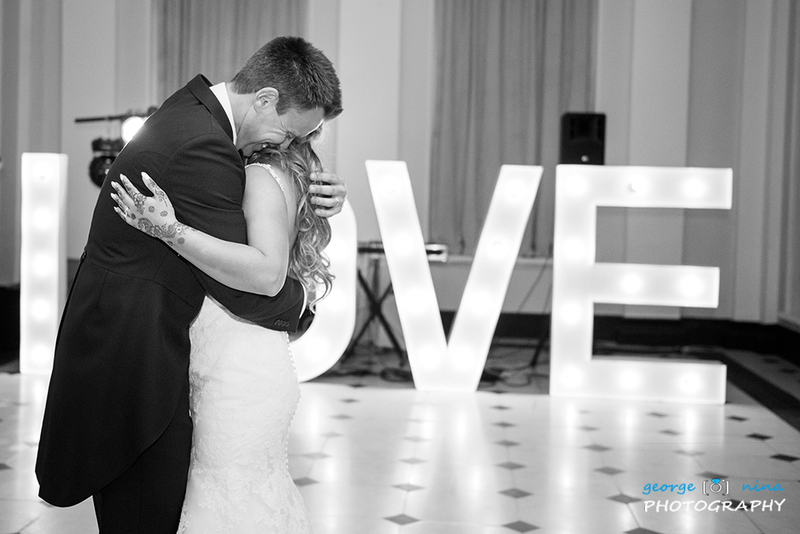 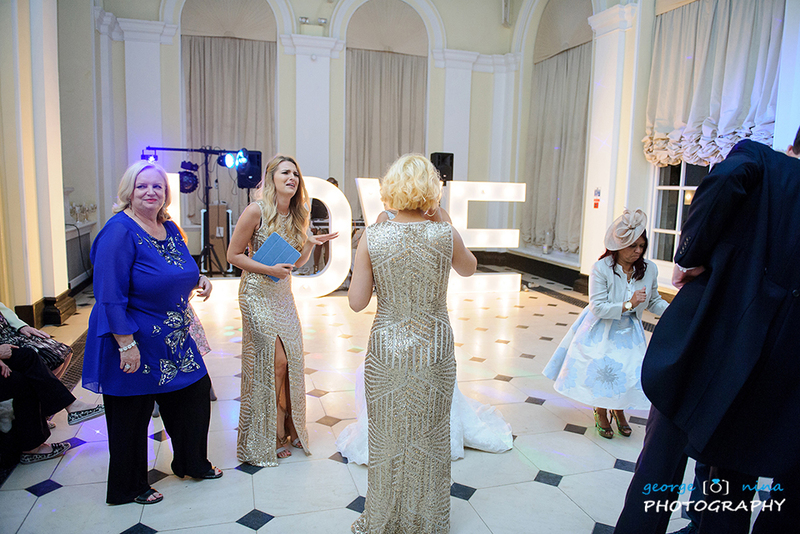 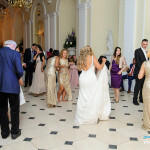 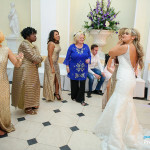 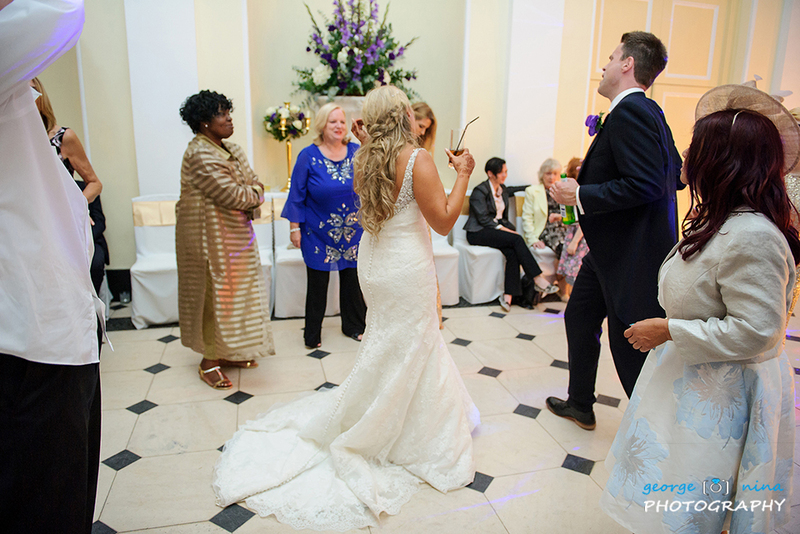 Lisa and George had their beautiful first dance and everyone joined them on the dance floor afterwards for a great party. 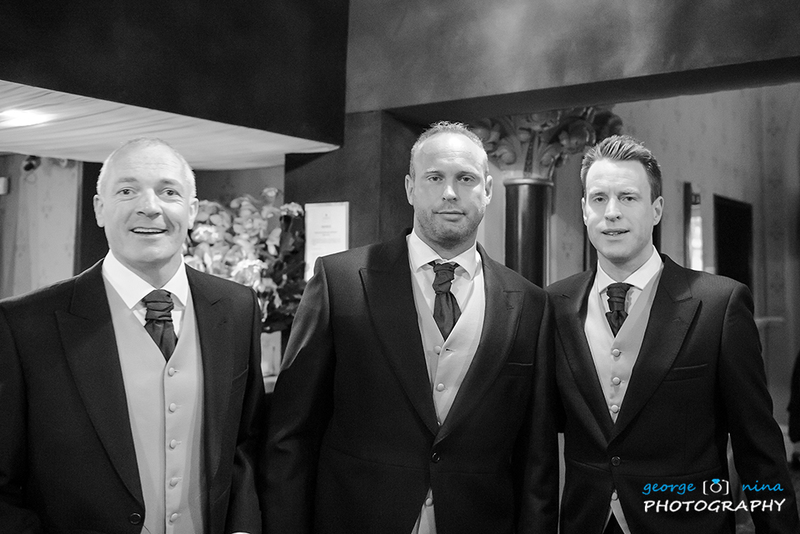 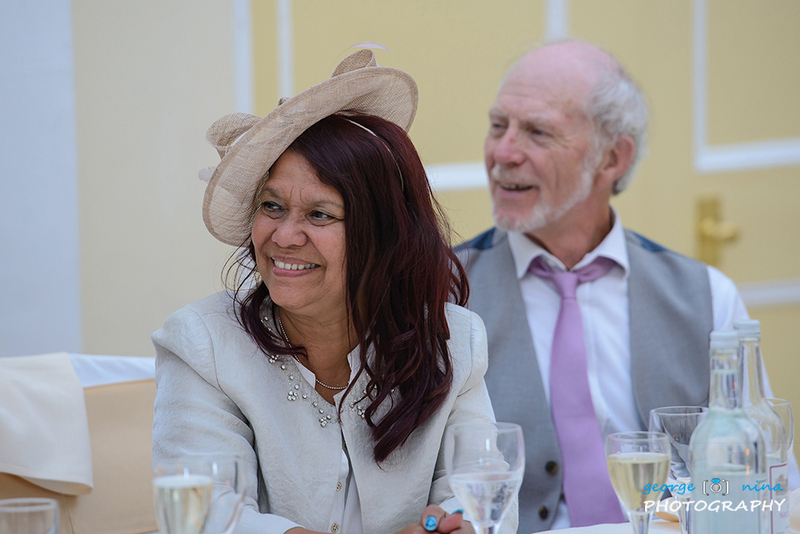 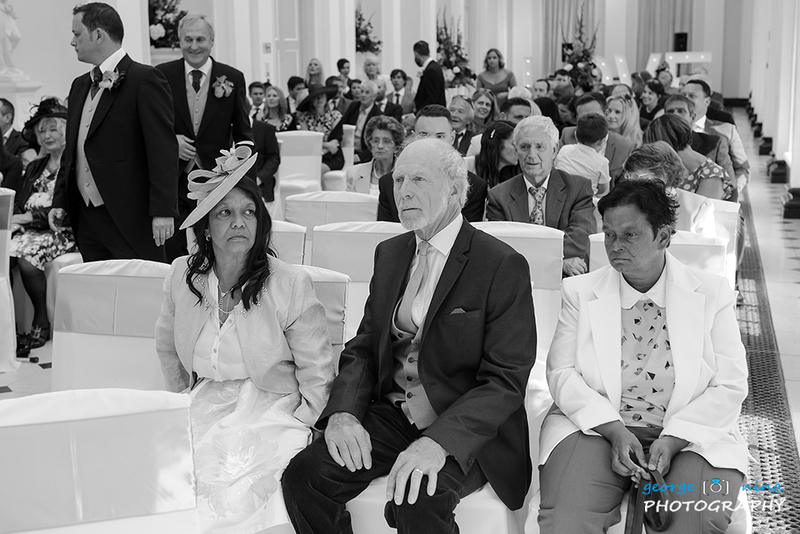 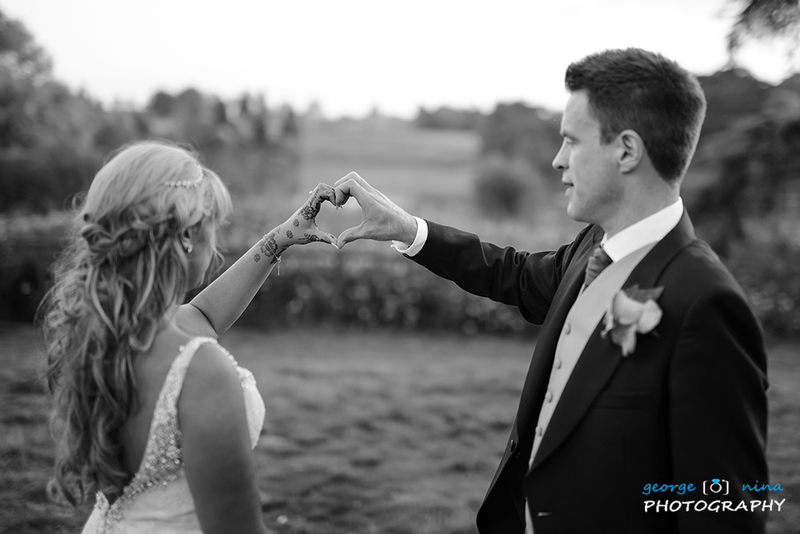 Dear Lisa and George, thank you very much for choosing us as your wedding photographers, it’s been a real pleasure for us to be part of your amazing day. 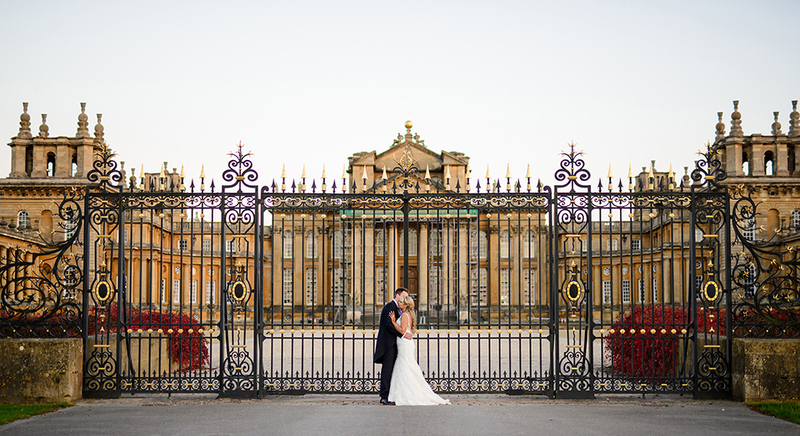 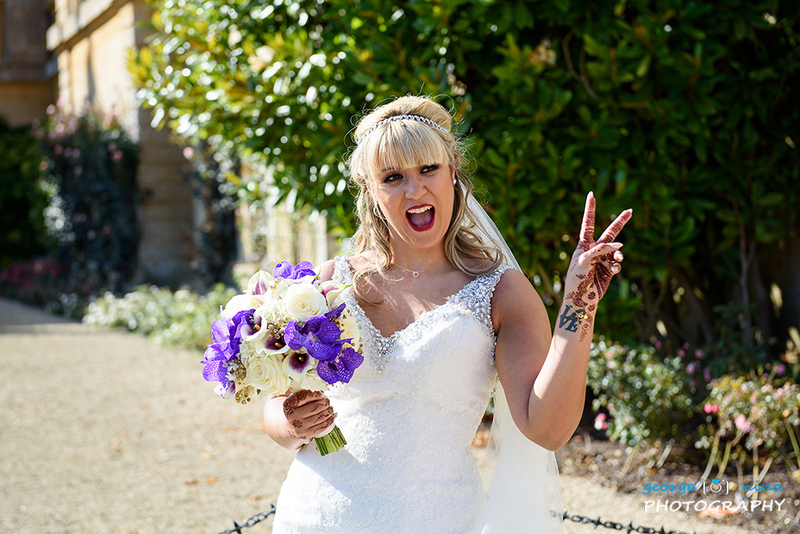 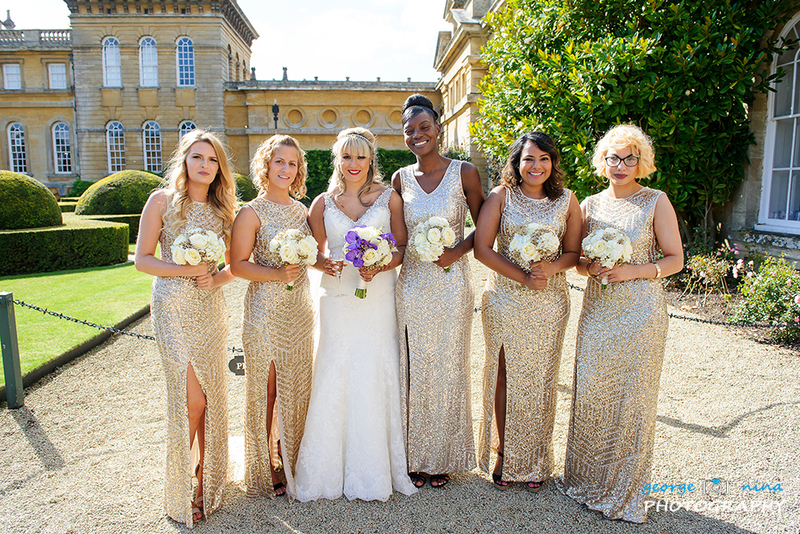 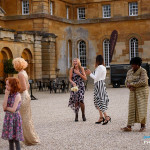 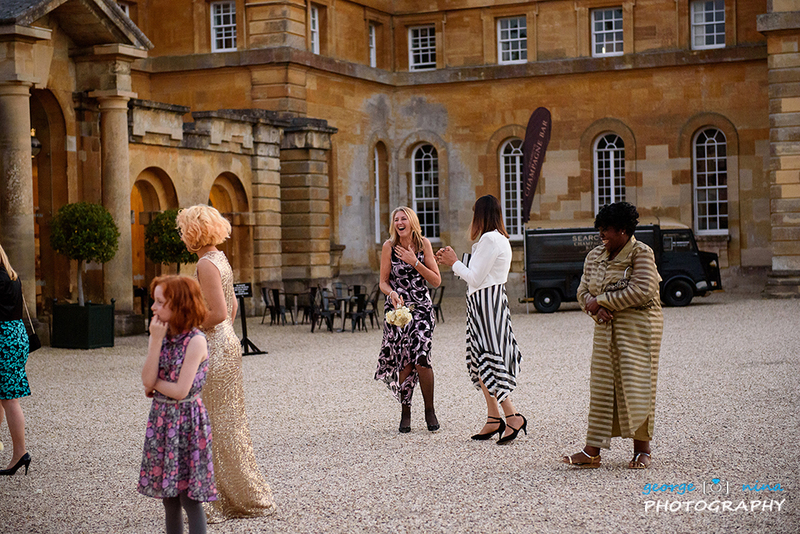 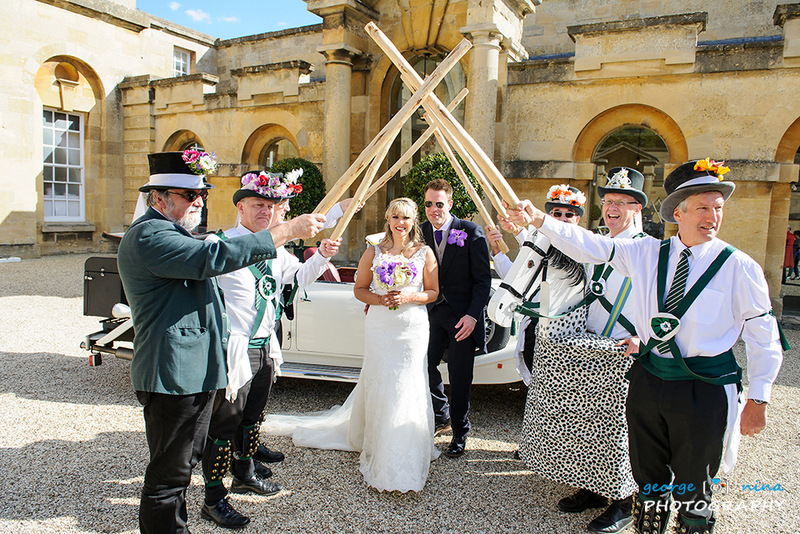 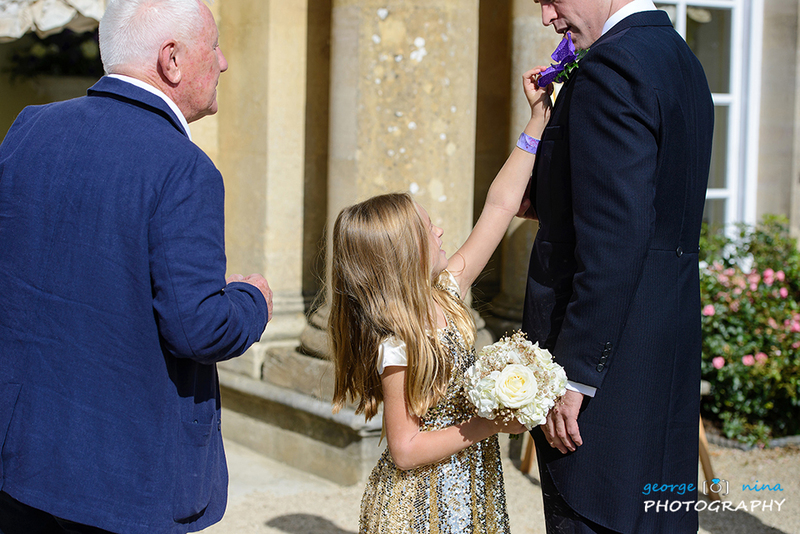 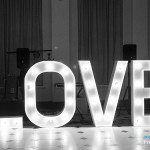 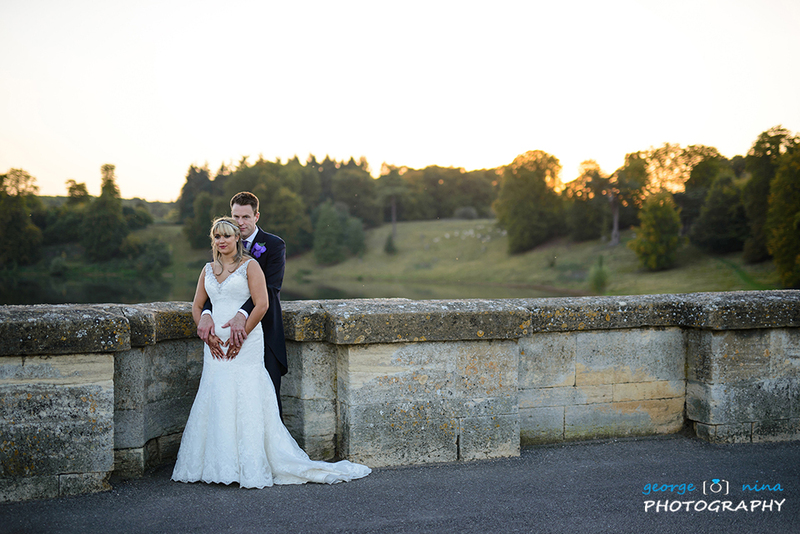 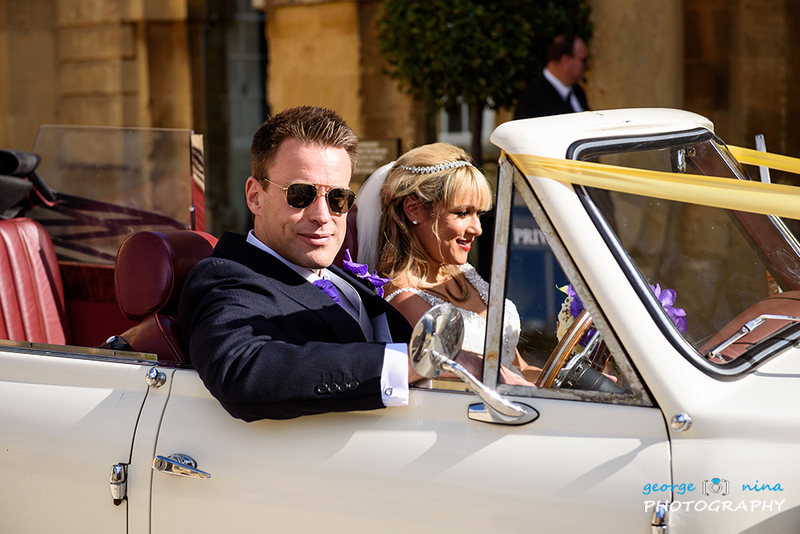 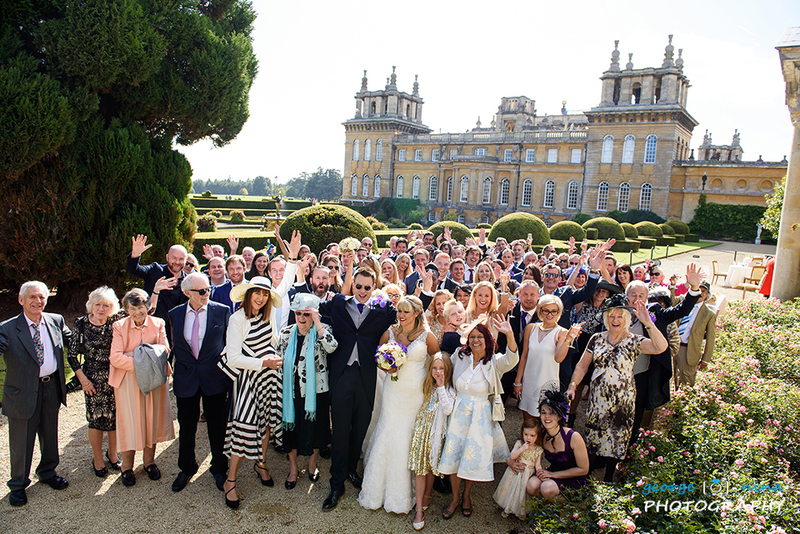 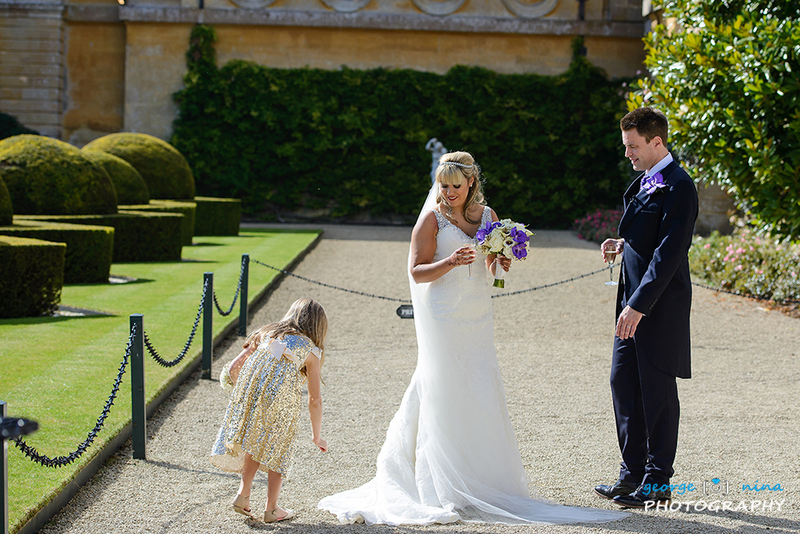 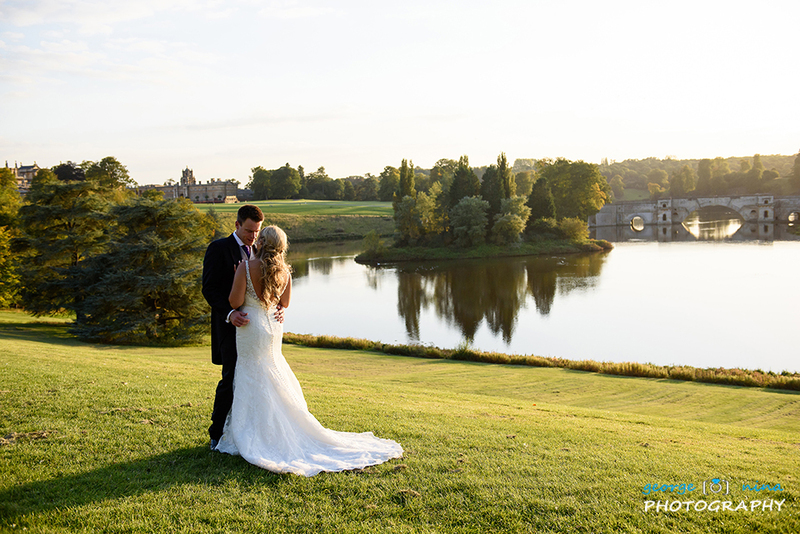 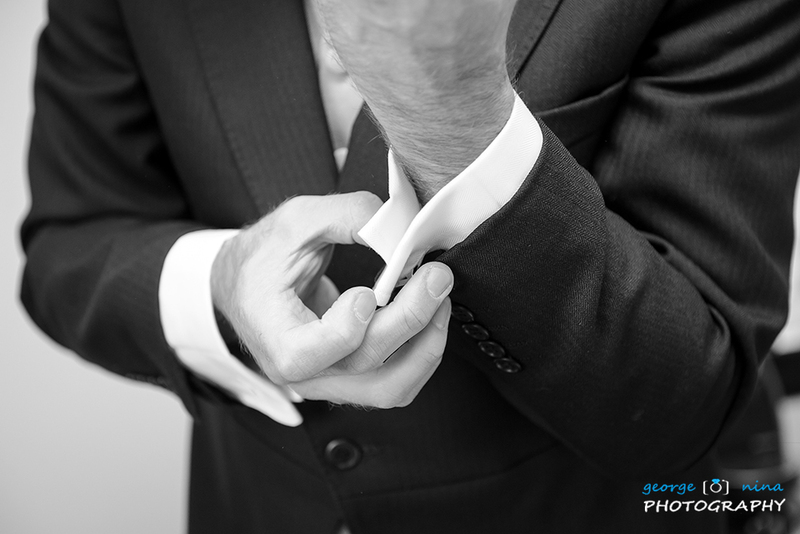 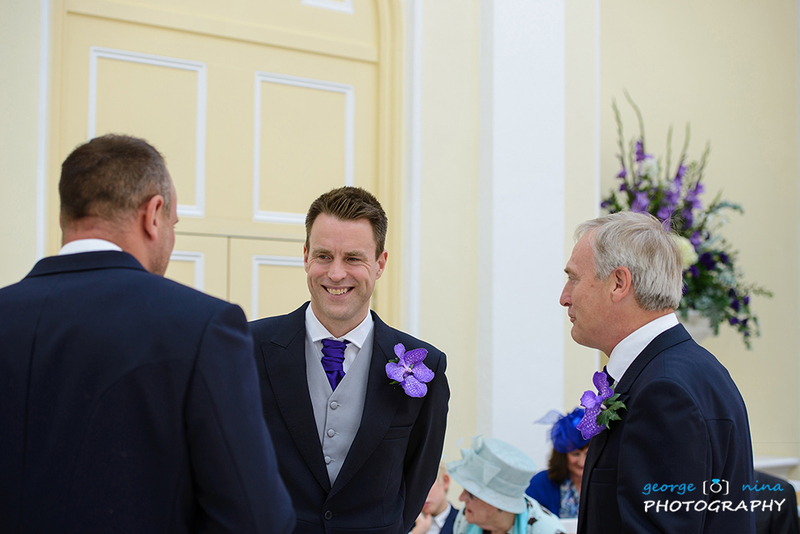 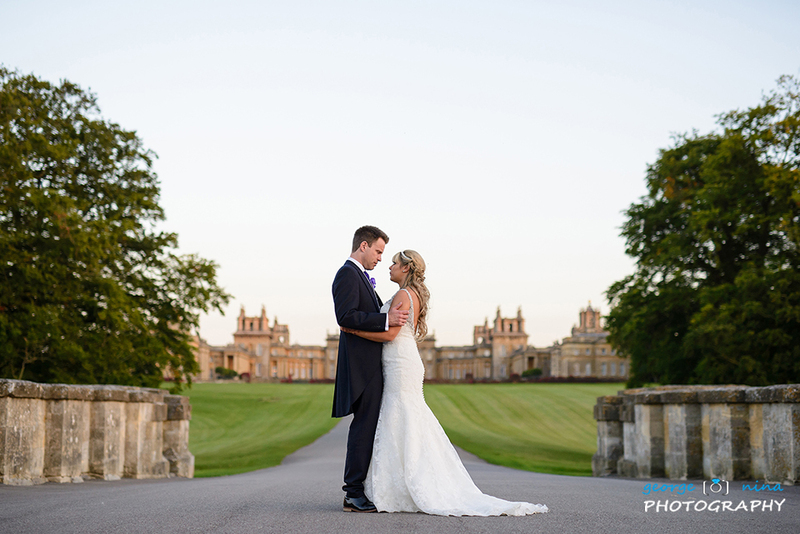 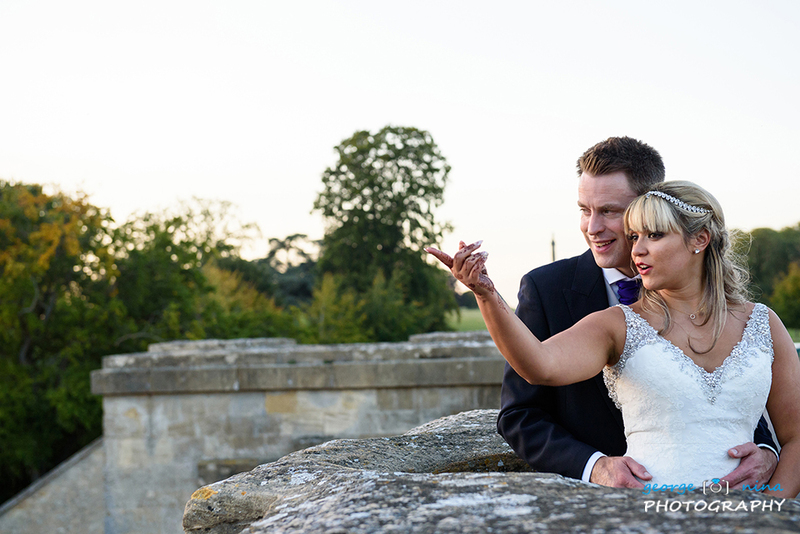 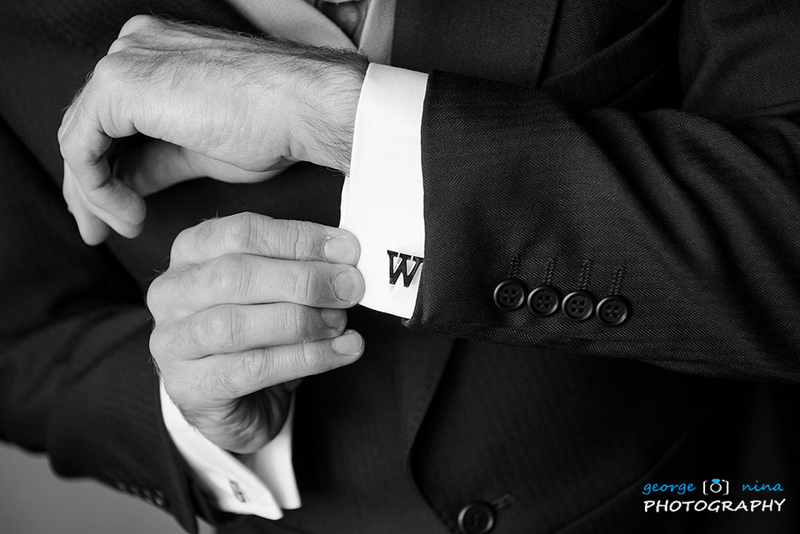 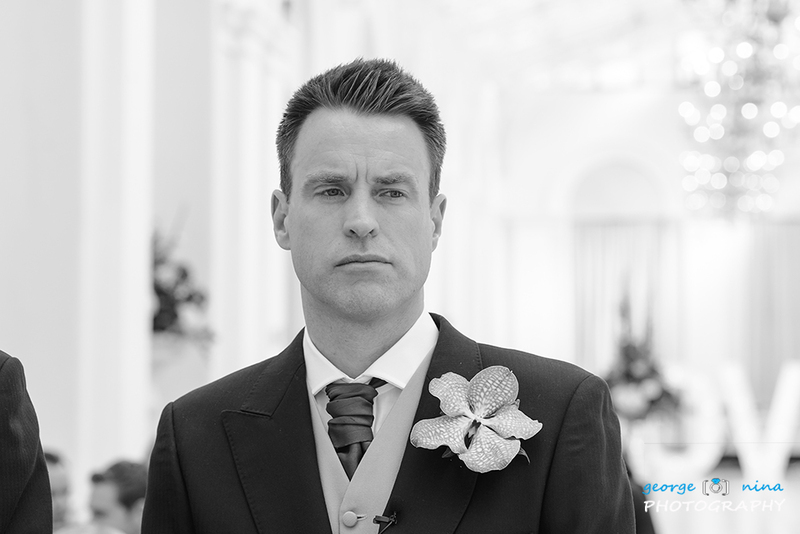 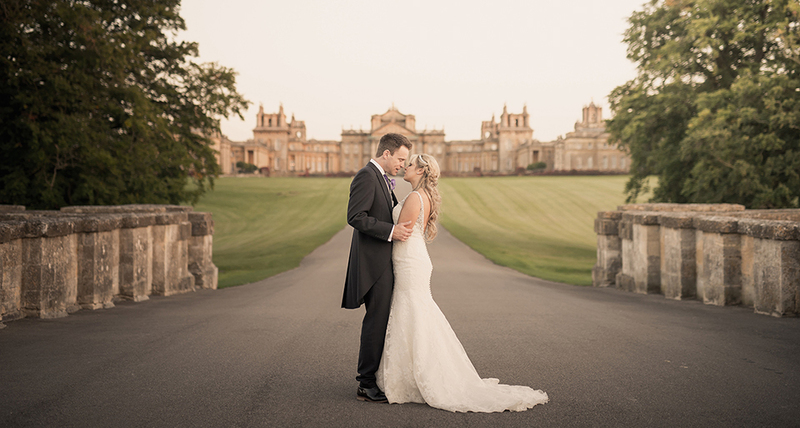 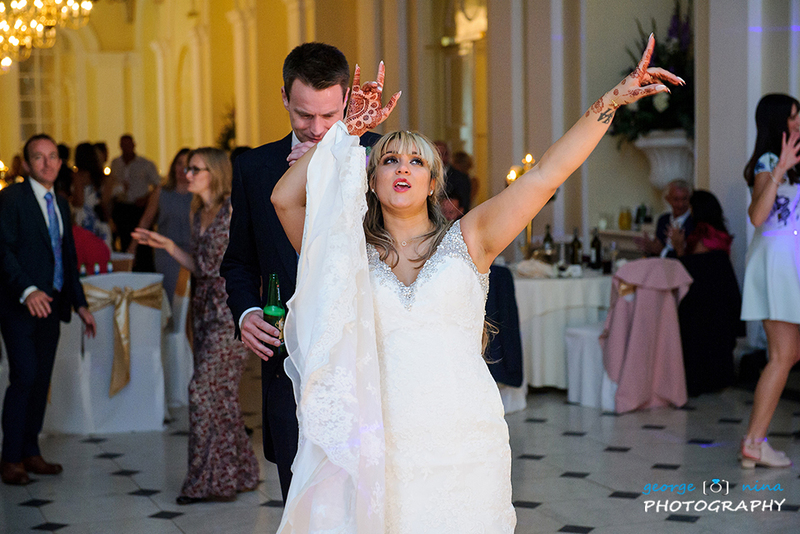 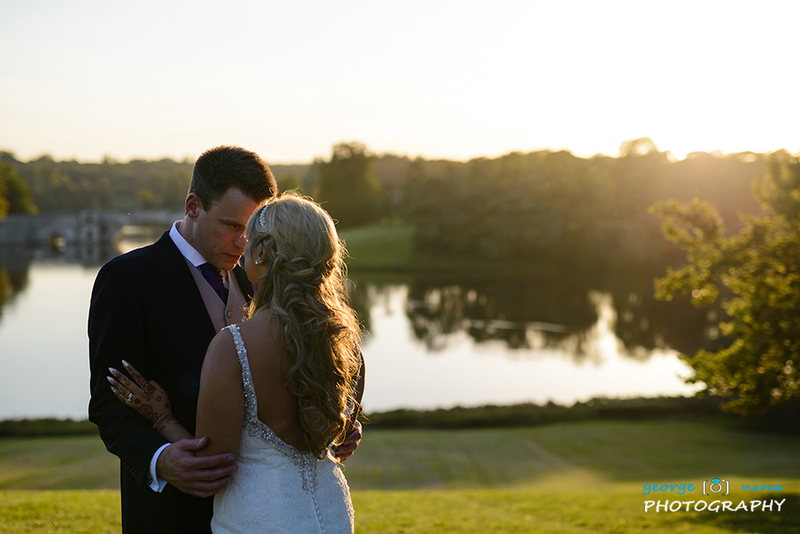 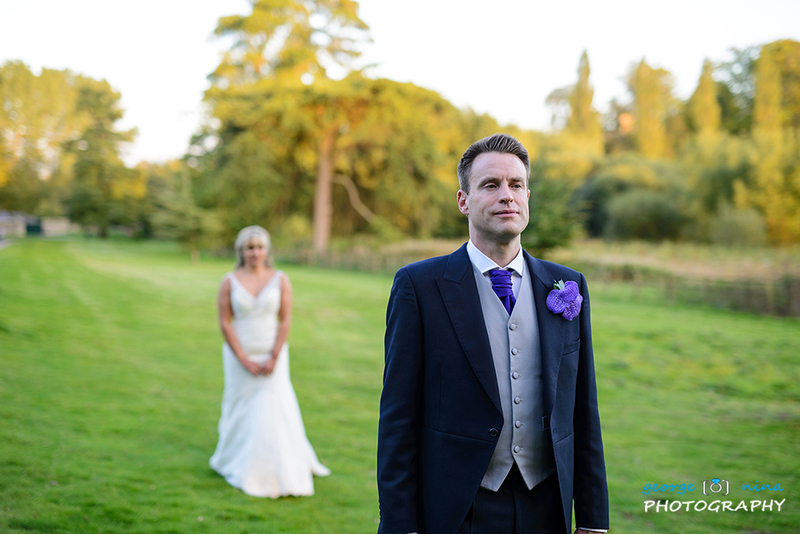 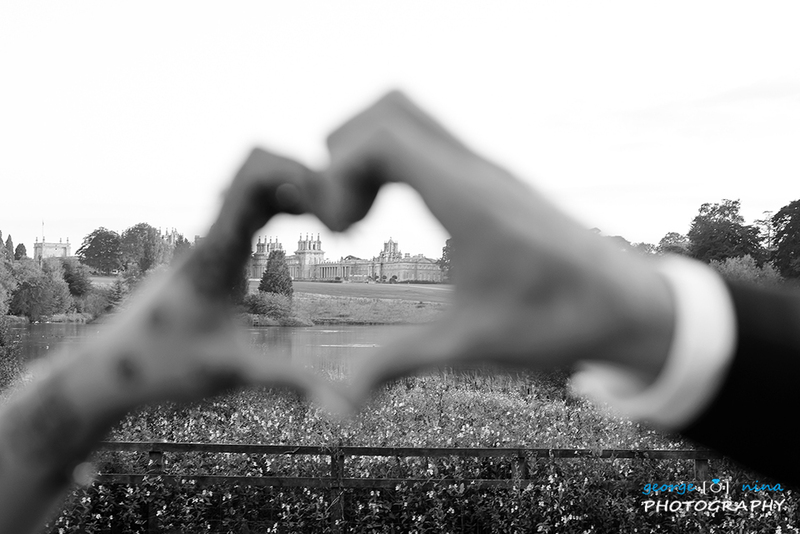 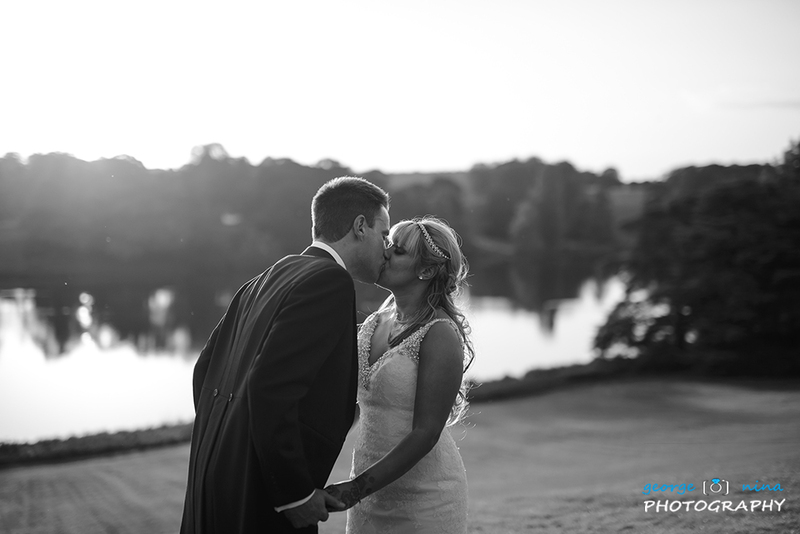 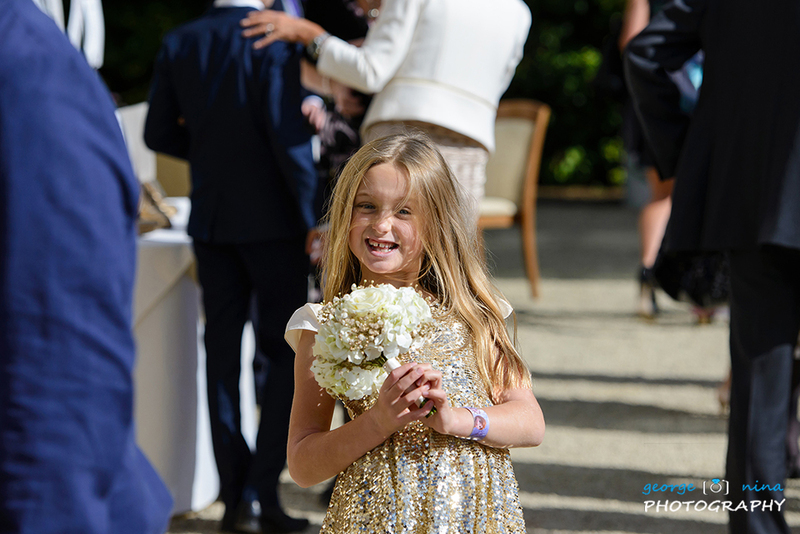 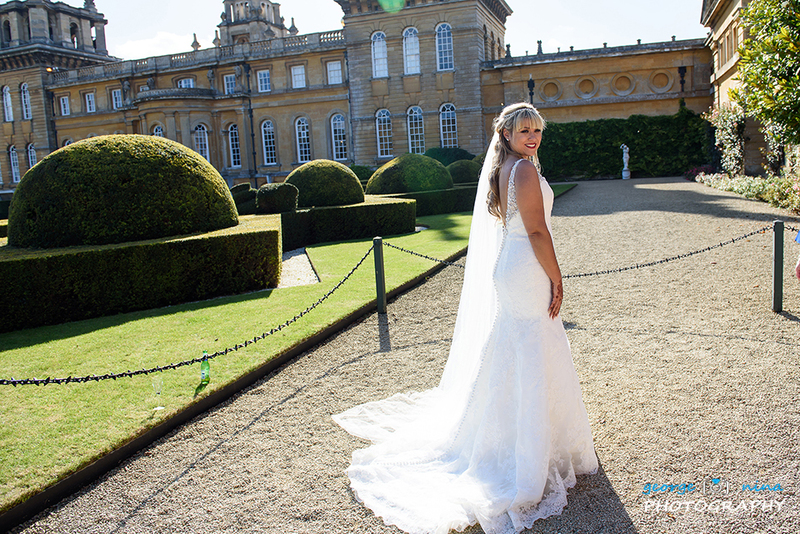 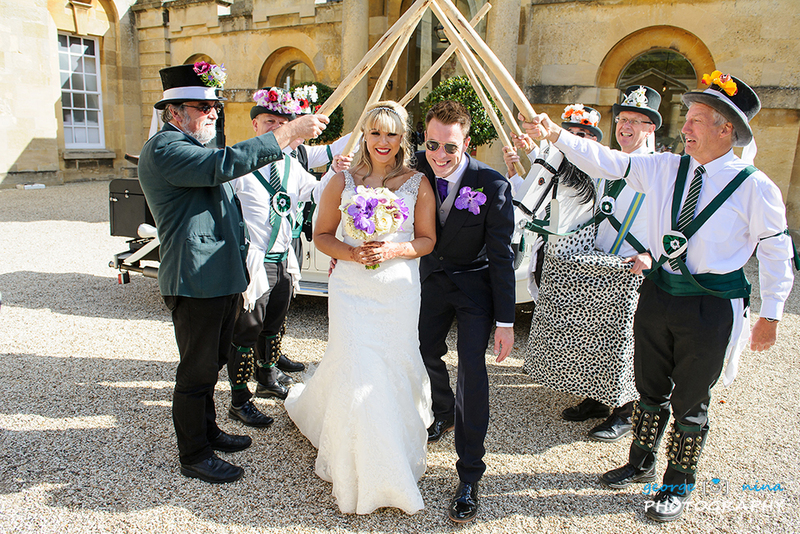 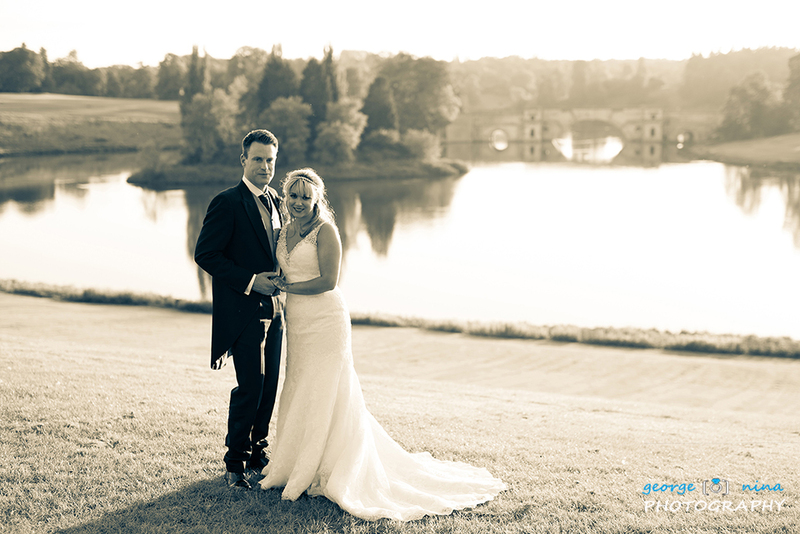 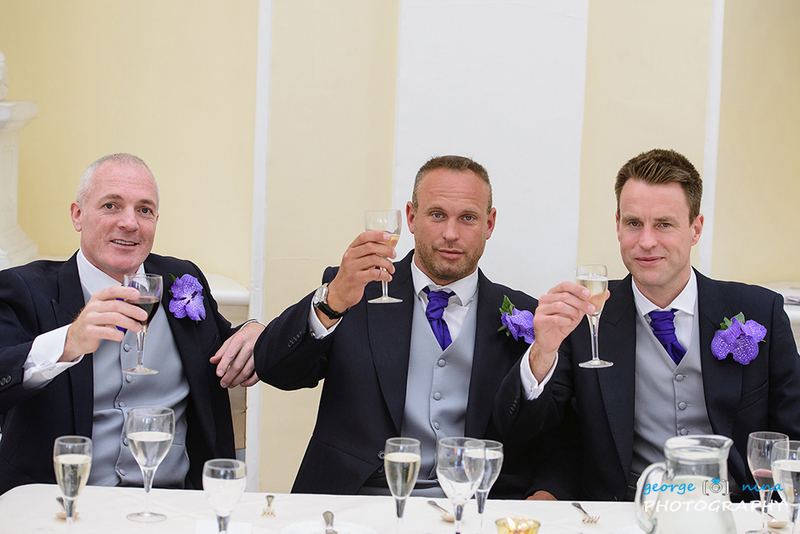 If you are looking for a Blenheim Palace Wedding Photographer or if you are planning a Blenheim Palace Wedding please get in touch, we can help!